Did a test drive yesterday. 1) ALL vehicles used as demo and test drive vehicles are pre-production vehicles that are not to be sold to customer. 2) Test drive was at Thane GB Road, Concorde motors. 5) Steering properly weighted but unrefined when turned at standstill. 6) Engine noisy if taken beyond 4000 rpm for sure also otherwise as well. 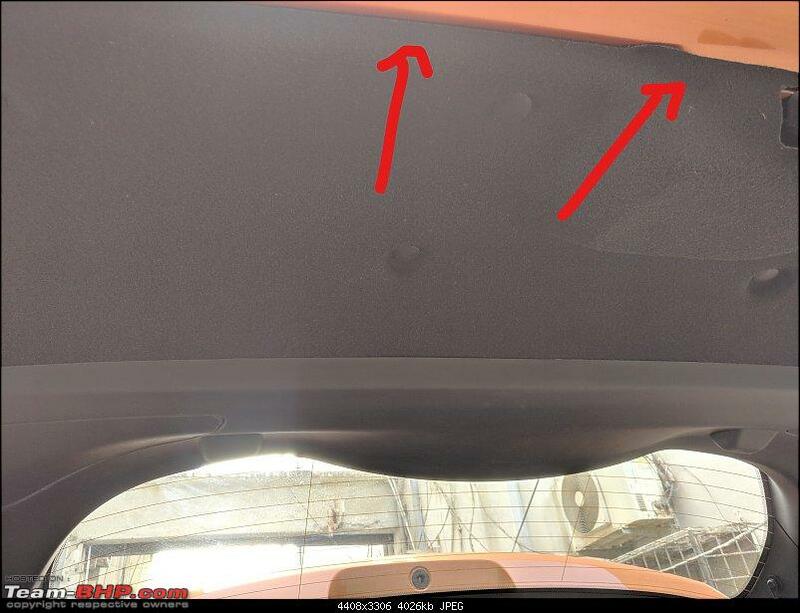 Sound insulation may or may not be improved in production variants. 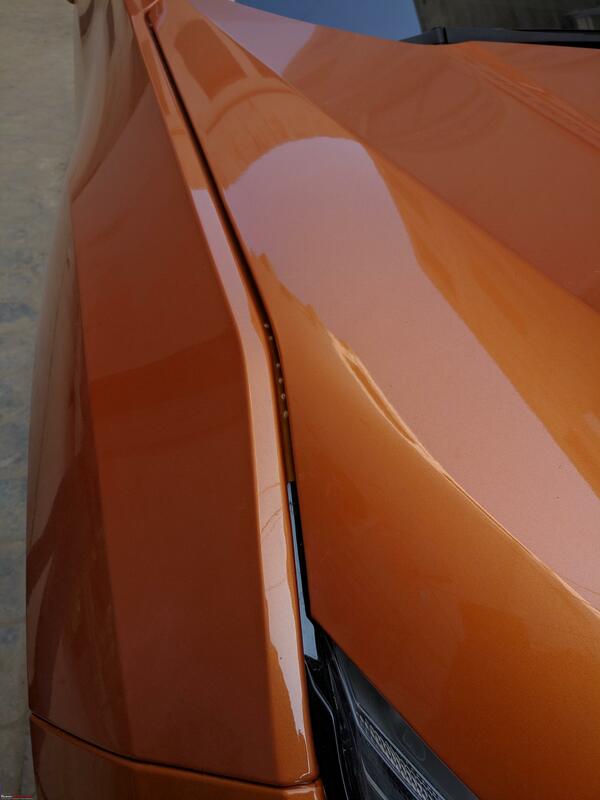 7) Shut lines on both Orange vehicles were acceptable and not deal breakers. Any deviations were by design. 8) Am 6 ft tall and 125kgs. 9) Dash trim slightly touches left leg. Not a deal-breaker. 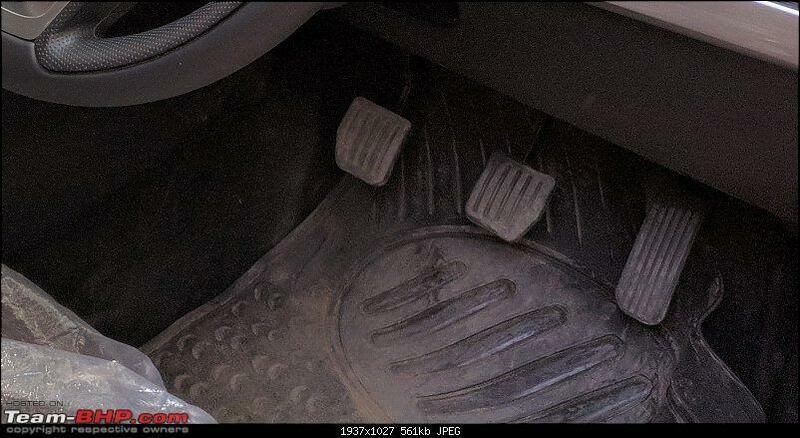 10) The foot-rest is too close to the clutch pedal for my large feet. 13) Interiors are best in class. 14) Seats 5 best comfort in class except Hexa. 15) Sound system best in class. 16) Alloys do look a size smaller, but help in ride. 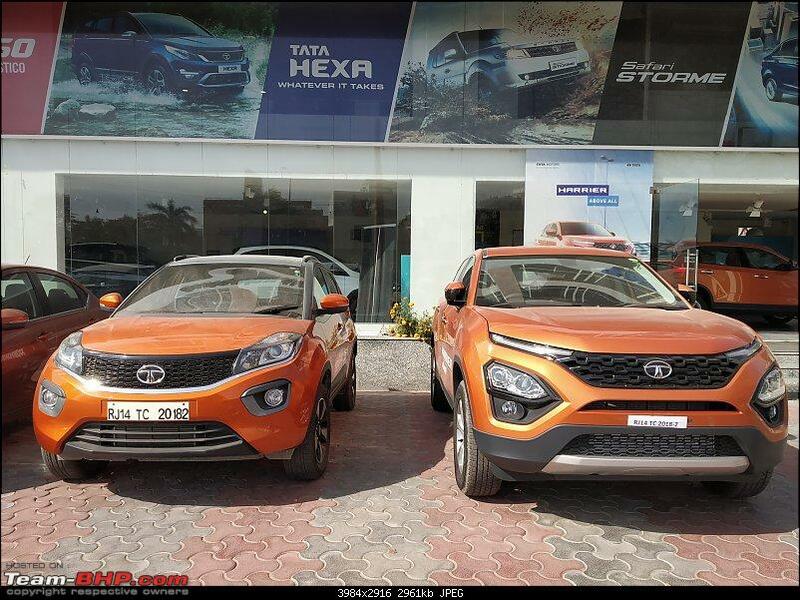 17) The ride dynamics were better than XUV500 and Hexa. 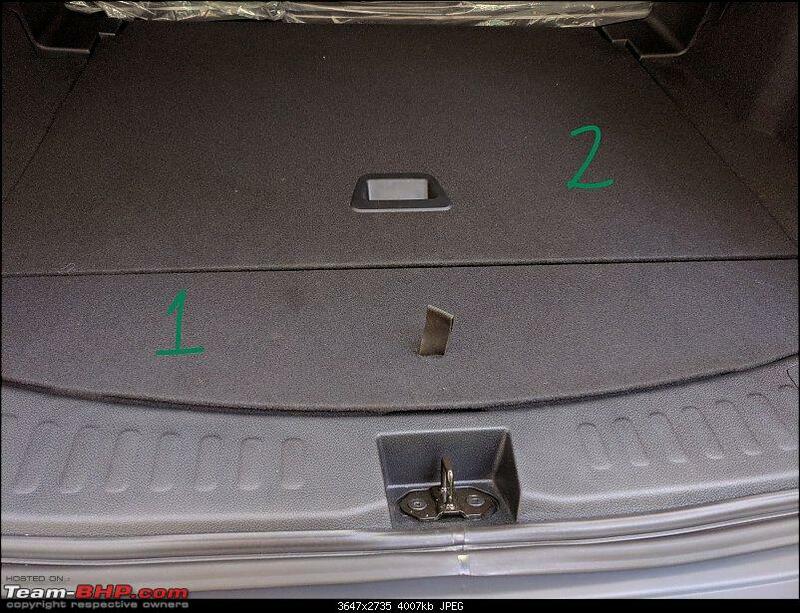 18) No AT and panaromic sunroof are the negatives. 19) Seats are fine. Hexa has the best seats in class though. Under thigh support is a bit less for taller drivers. 20) Steering adjustment is fine. 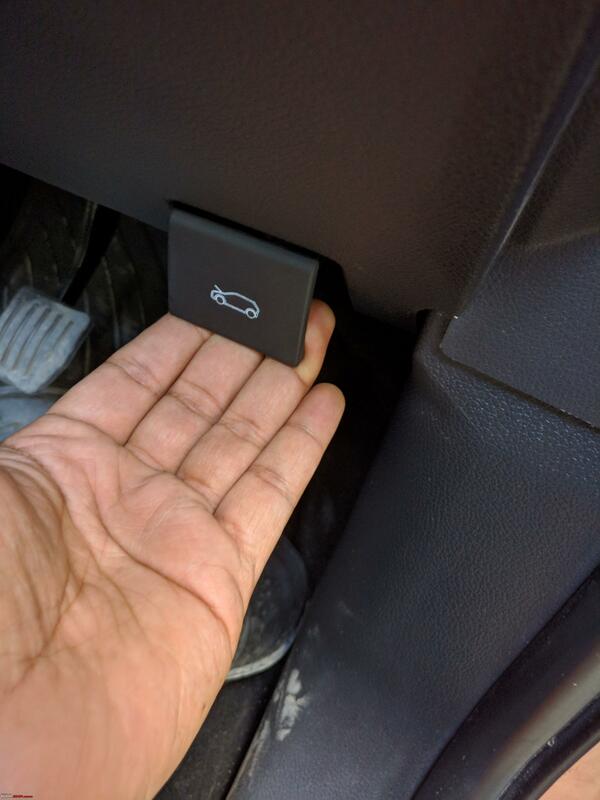 21) Did not change drive modes. 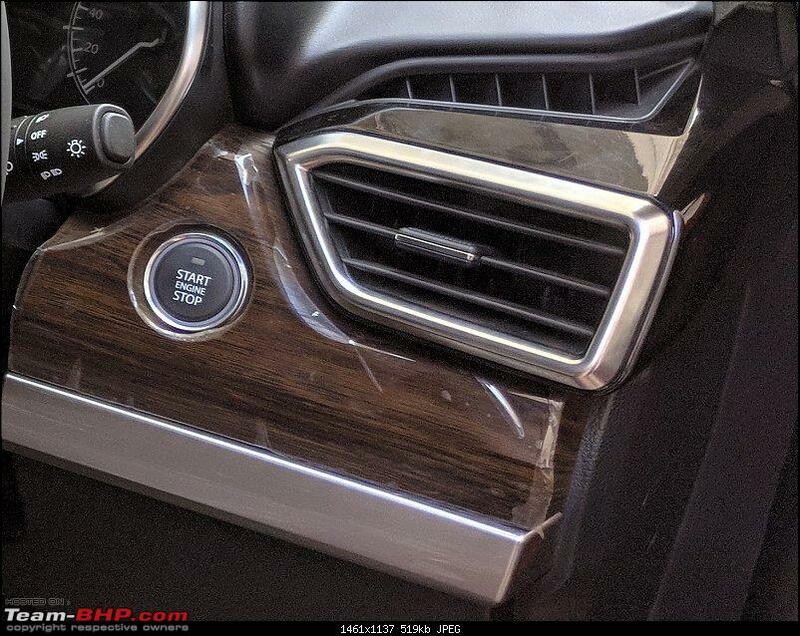 22) Wood trim and leather looks top class. 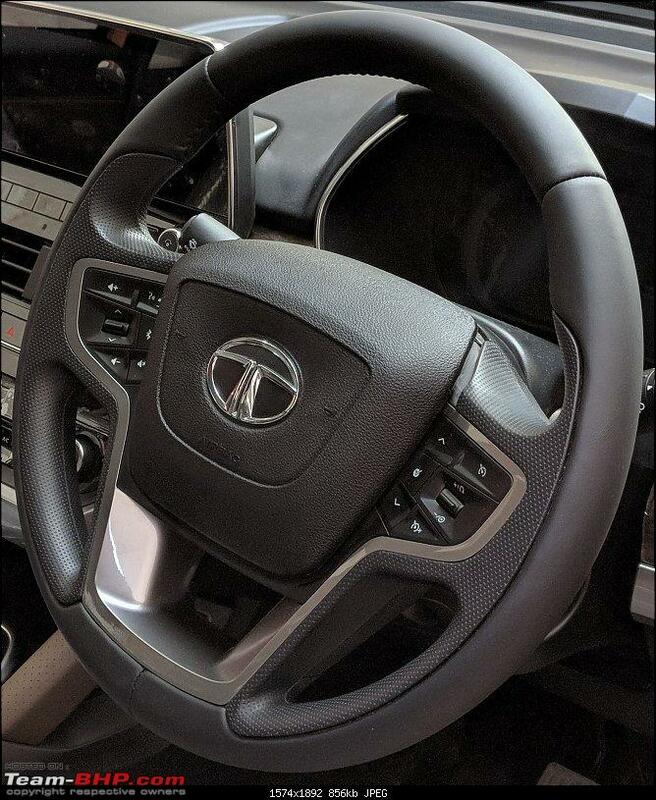 23) Even Fortuner customers who like manual gear shift can consider this vehicle and have greater comfort. 24) Park brake lever is fine. 25) If seated low then gear change lever is a bit high and back set. 26) Gear change and clutch is smooth. 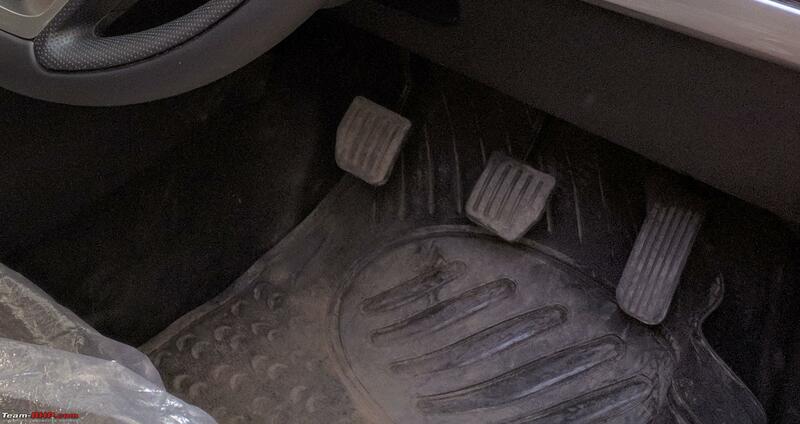 Clutch pedal has long travel. 27) Varicor 400 of Storme and Hexa pulls better from low speed / speed bumps in 2nd and 3rd gear. 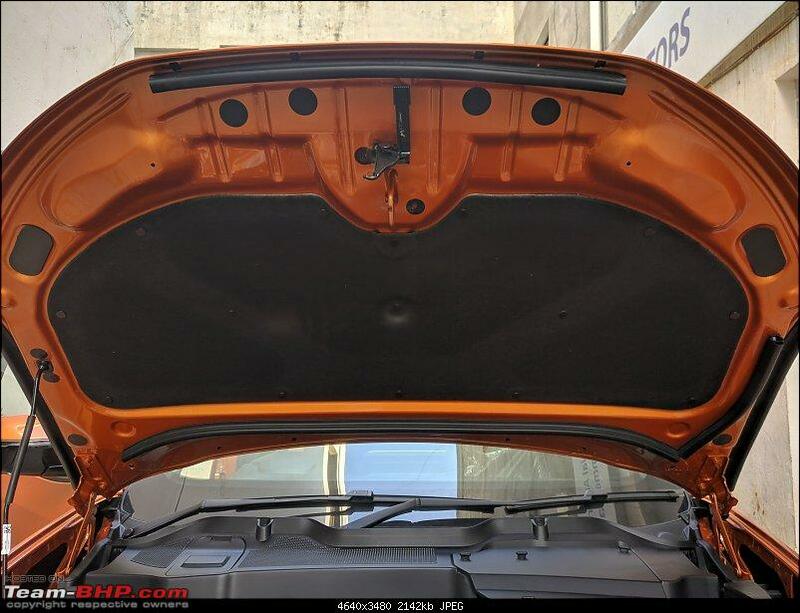 28) Engine bay is very neat, ohh! 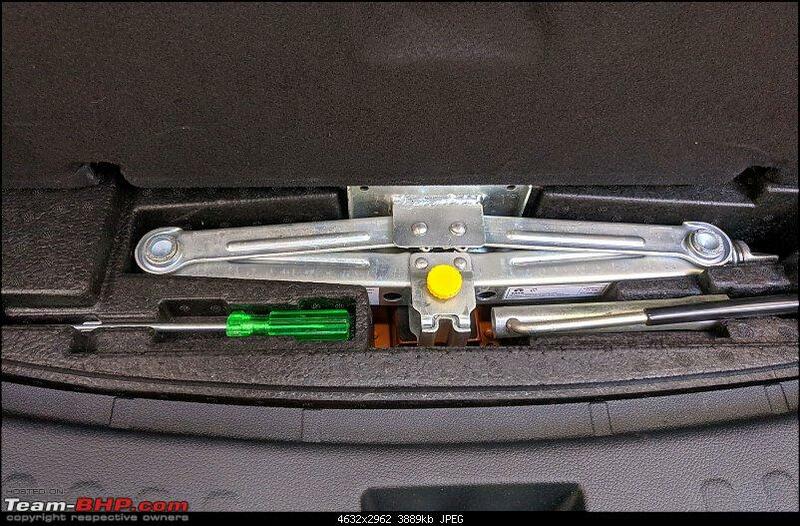 Why no auto lift dampers? 29) Boot is big and well shaped. 30) Would buy if MT were ok with me. Going for a second test drive with friend who is interested in a day or two. 31) Much more spacious than Compass a segment higher in class terms. Compass materials and fit felt better but design a bit dated so it balances out. I think White will be the most preferred colour. Harrier just looks awesome in White . Totally drool worthy. 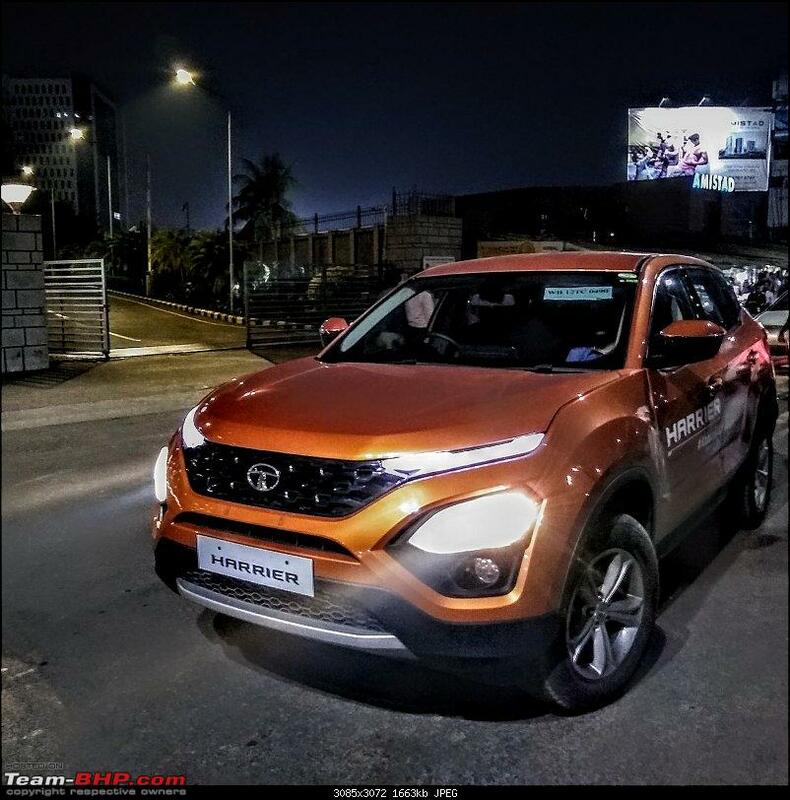 Saw an orange Tata Harrier some time back on road. I can assure one thing 'It has road-presence'. The once weird looking headlight arrangement felt good to look at in real and those DRLs are sweet. Loved the well balanced rear too. 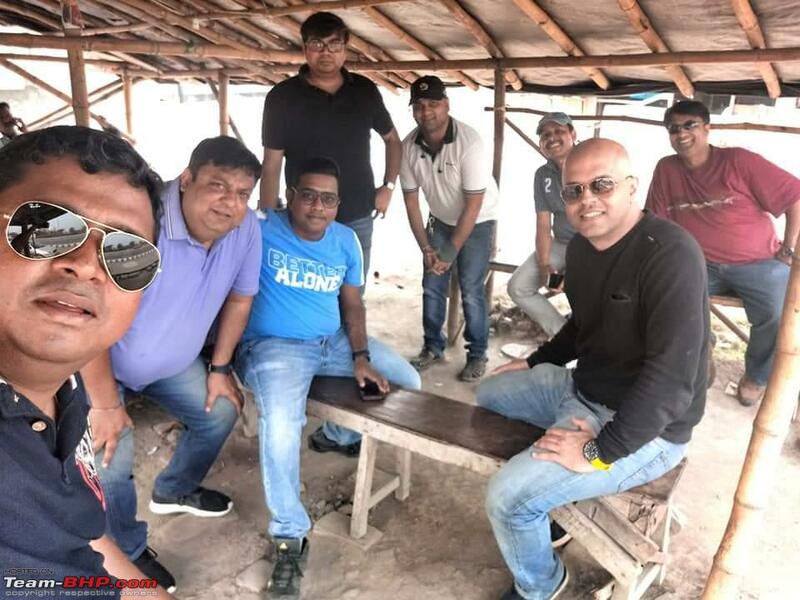 Last edited by pavi : 8th February 2019 at 16:45. At an initial glance, you suddenly get confused which is which! 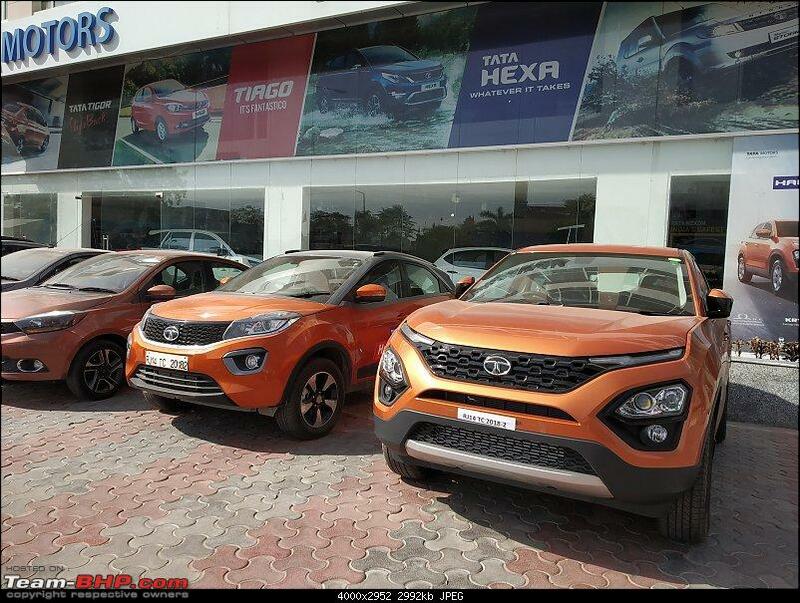 That typical TATA humanity line looks good on certain cars and not so in a few others. Hope they bring in a different design to the new hatchback. Not sure if it has been posted here before. But came across this video showcasing all the available colors on the Harrier. 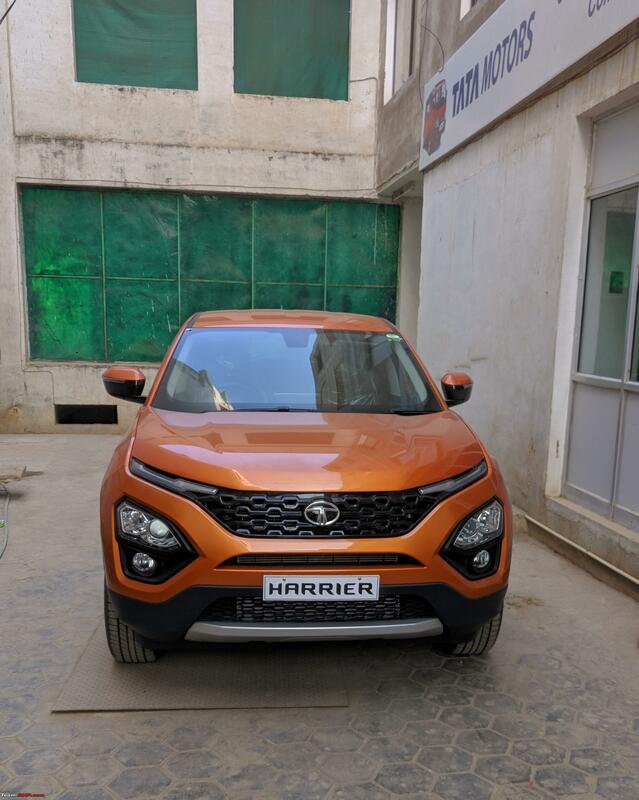 Drove the Tata Harrier yesterday evening and today for quite sometime. All the pros and cons have already been mentioned in a lot of posts, nothing much to add. Last edited by BlackPearl : 9th February 2019 at 17:53. I've never done even a little bit of off roading so pardon me if I am speaking rubbish but I think you and the car did quite well. If only the Harrier had AWD, perhaps with the bumpers sculpted for better approach & departure angles... It could have done some serious off roading. Still, as a soft roader the Harrier should do really well. One of your friends could be heard saying "khub matured ly handle korlo" (he handled it very well with quite a bit of maturity) and I agree! PS the very first pic is near DLF2 where I work. So we should catch up someday! Just observed one thing. The Harrier doesn't come with a dual tone option! Most of its main rivals (Creta, Kicks, Compass) offer it as an option. 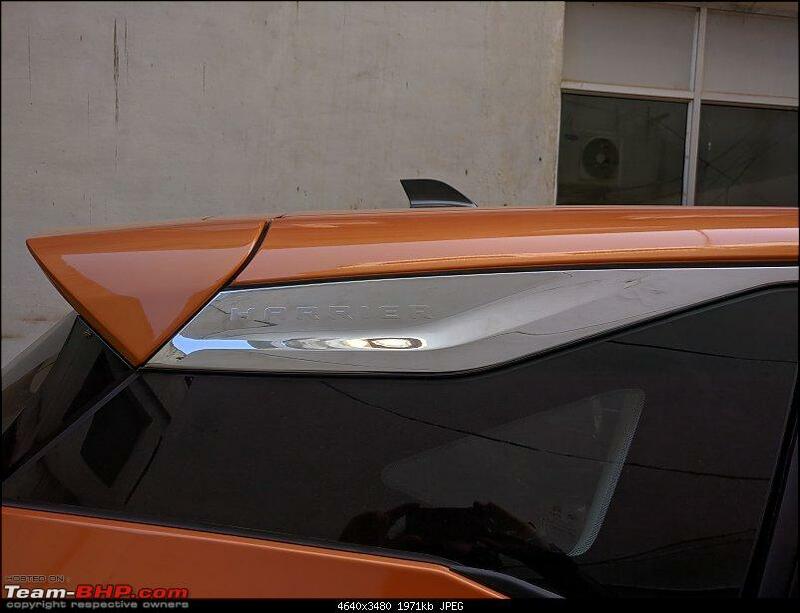 I can't even see a roof wrap as an accessory in the configurator. I find this quite surprising. 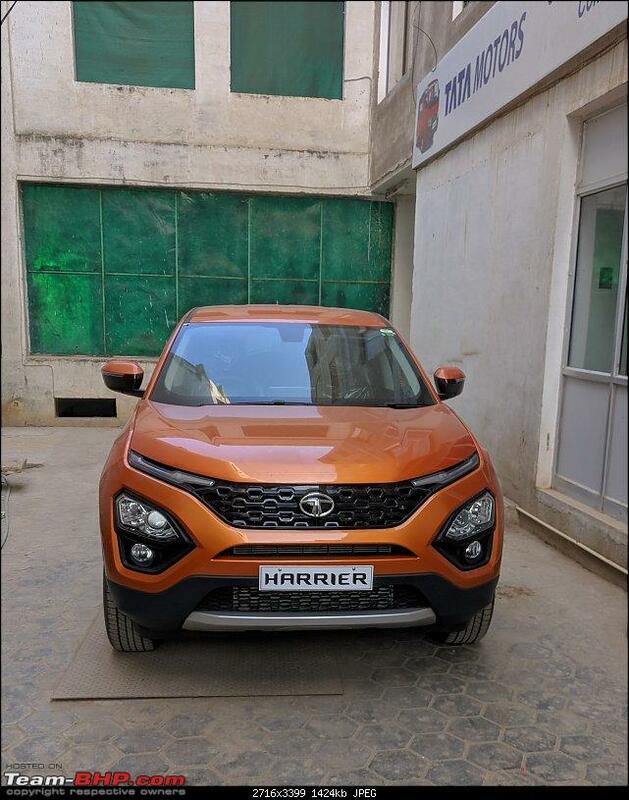 Less surprising is the fact that the Harrier is available only in 5 colours which is the least in the segment! 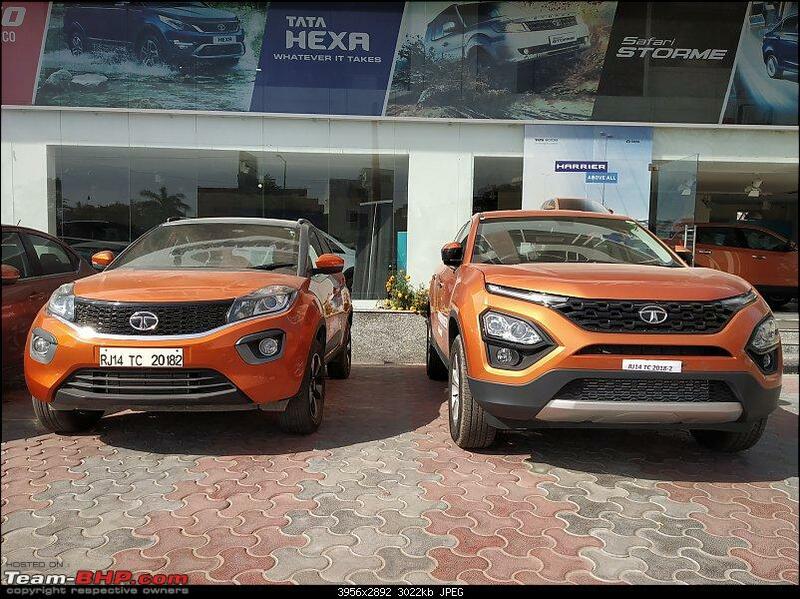 Seems like Tata themselves are limiting its potential with no AWD, Petrol, AT or even a dual tone paint option! Pre-Post Script: This post might just redefine not only a long post, but also a "loooooooooooooooooooooooooooooooooong" post - scroll for tl;dr version somewhere around the end to spare yourself the ramblings of an idiot with too much time on his hands. I had passed the showroom a couple of times on previous days, and not seeing the Harrier front and centre, naturally assumed it hadn't arrived. I walked in on 5th afternoon, since a weekday afternoon allowed me to park my Endeavour to actually inquire (could've just called to ask, but I preferred a cold walk-in). As it turns out, the car had been there for a few days, it was just that TML hadn't officially "launched" it to allow them to showcase it or start test drives. 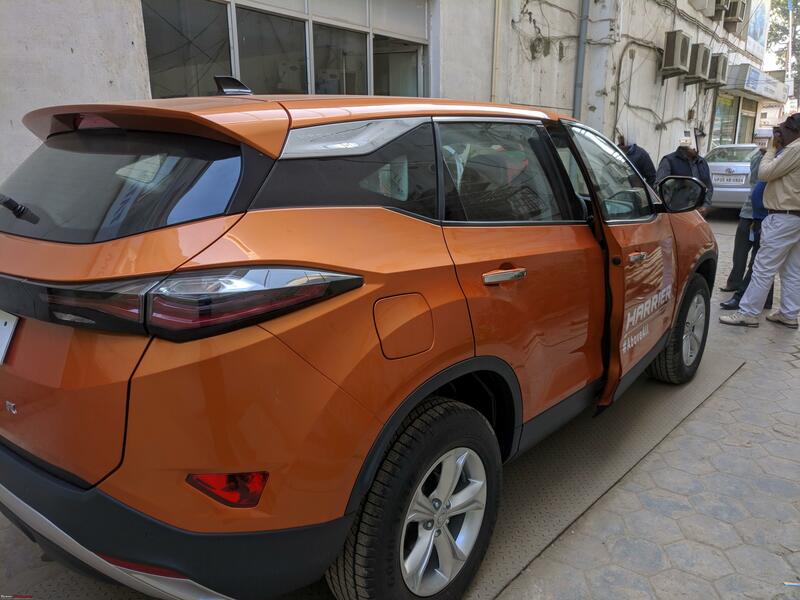 According to the sales person, the launch order is Delhi, other metros and then smaller cities. They had the car parked outside, right at the back of a narrow access lane in their premises, out of sight. This car wasn't a media/pre-production car that one would see for test drives at company owned Concord dealerships elsewhere, this was the "real" thing - bear that in mind as I go over the following. 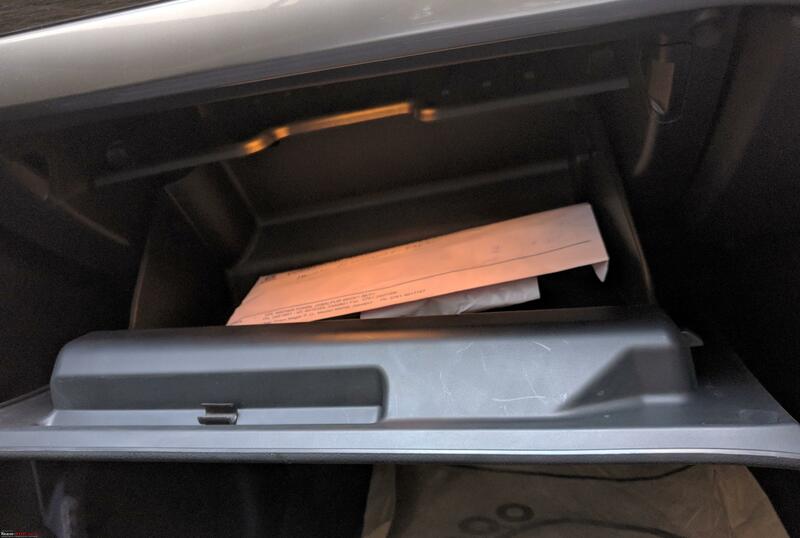 Also, since test drives hadn't started, I did my best to glean what I could from a stationary car. 1. My daily drive, the Ford Endeavour. You may call it unfair initially, but a) the Harrier comes out looking great from that perspective, and b) it's an inevitable comparison for me as that's what I experience daily. 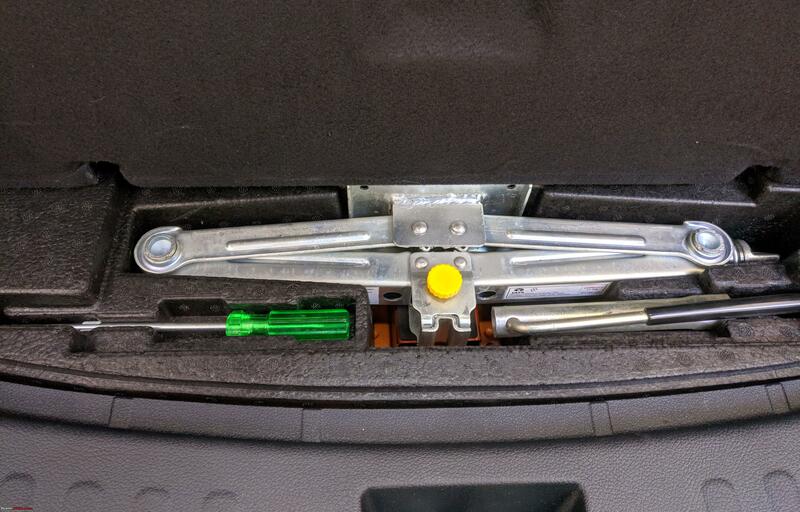 This is important to remember though - as certain aspects (seating position, road presence etc) will have a skewed perspective for me when only evaluating a stationary car - I would be calibrated more "fairly" during a proper test drive. 2. The Jeep Compass. Closely related - engine and segment (sort of), and a car I know and LOVE. A very important point of comparison IMO. 3. 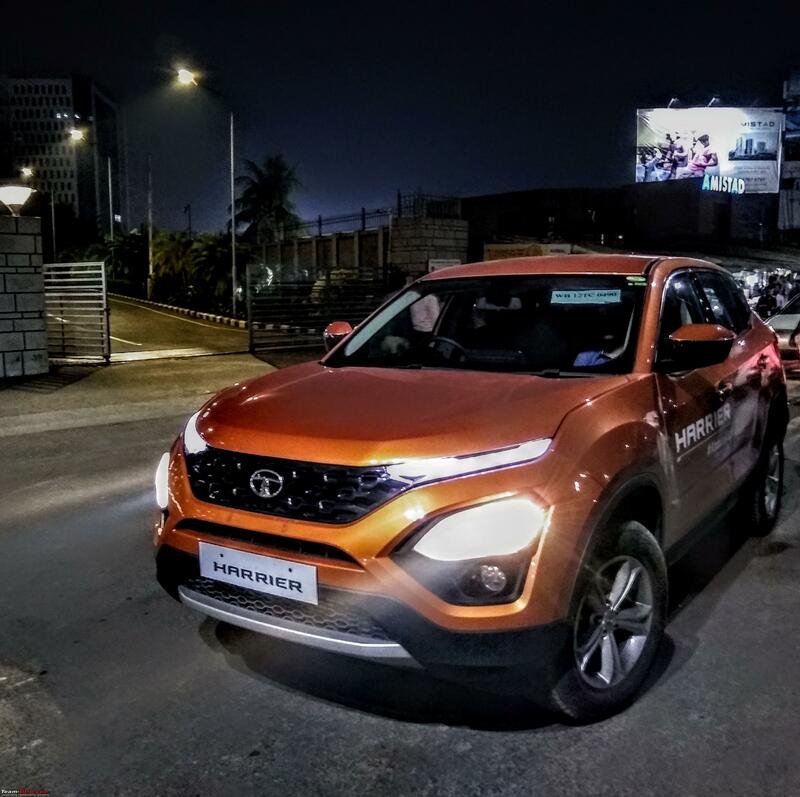 The Hyundai Creta. Arguably the most important point of comparison. After my own cars, this is the car I know best and have driven most. Also, I made it a point to refresh my memory regarding this package with a long drive 2 days ago, on the 7th (2 days after seeing the Harrier), before posting here. More on this tacked on to the end. 4. 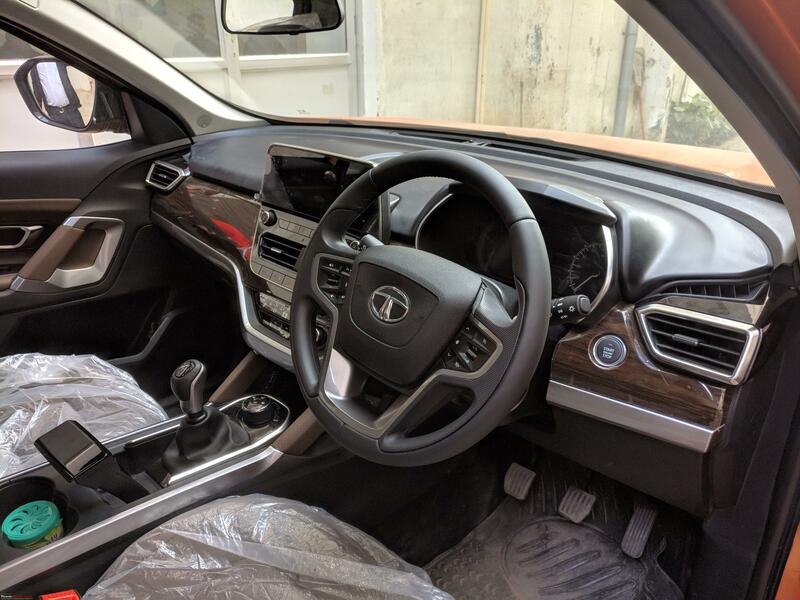 The Tata Hexa. While I feel they are rather different products, not only are they from the same stable, but the overlap between the products is substantial. The cross-shopping going on is testament to that. Have been privy to a few interesting perspectives between the two, and I'll try to work them in as best possible. 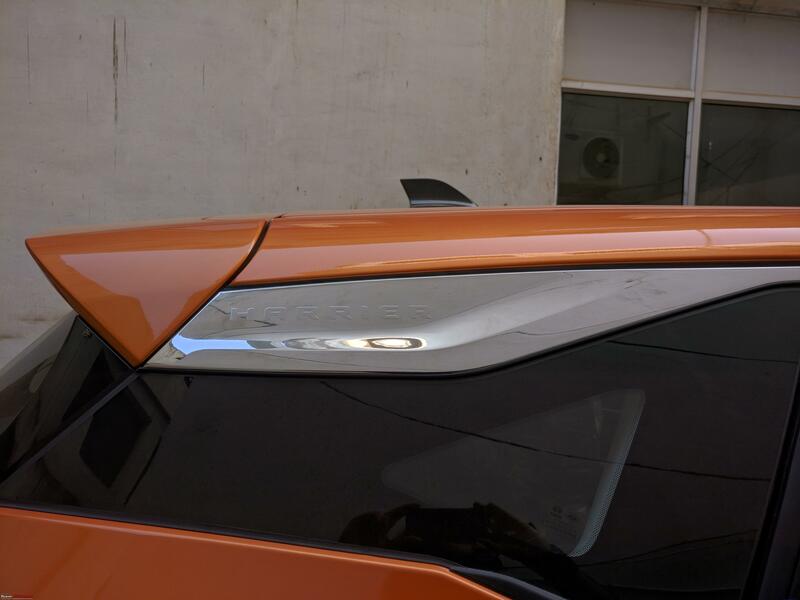 This is also a car I know well, and certainly the new-age Tata I know best. 5. To a very slight extent, and only where it is pertinent, the Skoda Kodiaq. Another car I know well. 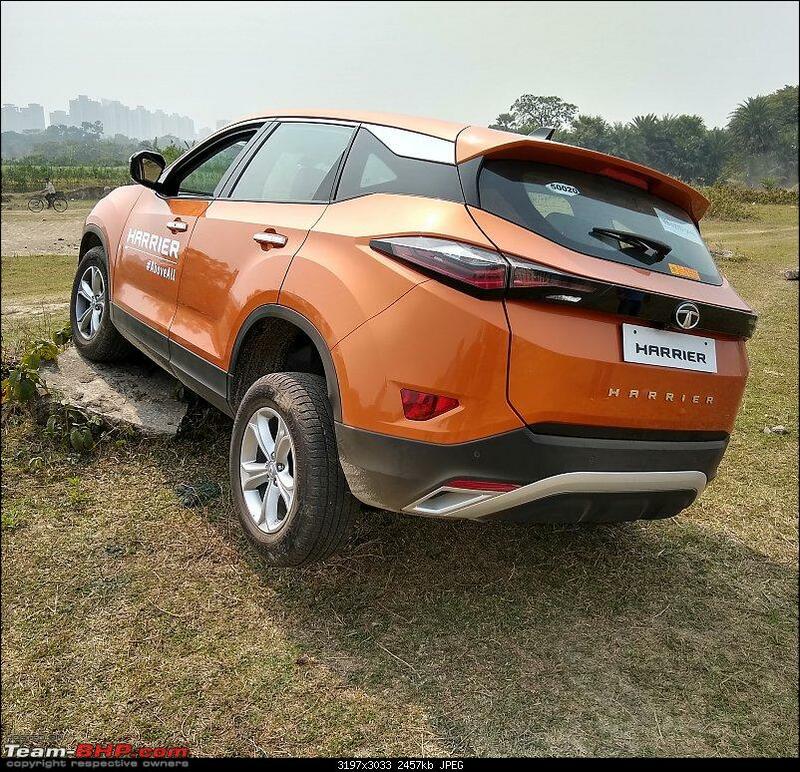 For reference, I had evaluated the Endeavour, Compass, Kodiaq and Hexa (among others) back to back before finalising the Endeavour. 1. Premium - Poshness/Quality (to touch or look at - both entirely different). 2. Build Quality - Sheer solidity and heft. 3. Fit and Finish - Only and only the way things have been put together - gaps, uniformity etc - has nothing to do with heft, premium appearance or feel etc. Needless to say, all of it is IMO. Your mileage may vary. Also, wrt brands - Skoda, Ford, Jeep are all non-premium brands as described. By luxury/premium I mean Volvo etc. And also, BOF/SUV - Body on Frame. In my book, even Range Rovers and the Discovery aren't SUVs by virtue of being unibody/monocoque (CUV = crossover UV is acceptable). Forget "No 4WD = No SUV", for me, "No Ladder Frame = No SUV". Finally (this time I mean it), I chose to evaluate and experience the car as much as possible, so the pictures, while mostly adequately representative, aren't exactly up to scratch - they certainly could've been way better. More people had arrived by then, so I wanted to take up a little less of their collective time. My apologies in advance for the image situation. I had visited the showroom to check out the Hexa early last year (they had come home for the test drive, but that was later). While the staff had been friendly and happy to show a couple of raggedy looking young-ish boys around (the relatively new Nexon, then the Hexa), the showroom had a distinctly dingy air. That had changed for the better now. 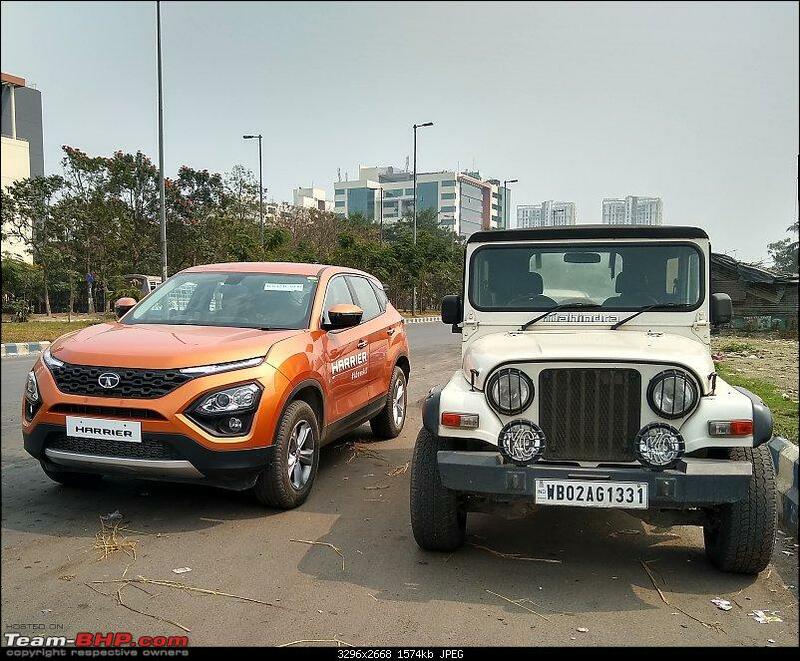 I won't go into the permanent construction differences that contribute to the atmosphere, but I can say this - while it was no Nexa (Nexas are still the benchmarks in Jabalpur, at par with Toyota, and less premium than only the swanky new Jeep showroom - Hyundai, Ford etc showrooms over here don't measure up to these two), it no longer looked like a predominantly commercial vehicle catering service centre's showroom. It was on par with the others (other than the "premium" ones I mentioned). 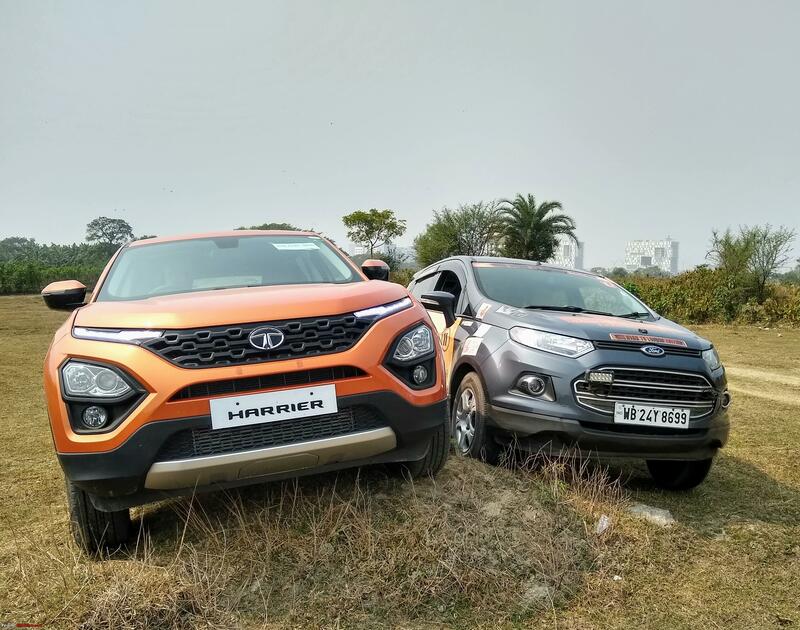 Now, correlation isn't causation and it may have not been caused by some TML renovation stipulations in the "Harrier era", but this change will be an important factor if a product like the Harrier is to draw the kind of clientele it damn well should. Anyhow, the reception at reception (sorry) was both accommodating and prompt - they said they'd be happy to show me around even though test drives hadn't yet started and officially it hadn't been launched here - even though I clearly said I wasn't a potential customer, but had come to make enquiries on behalf of a friend who lives outside and his family would test and buy when he would be around. After a wait of less than a minute (good since, even though it was a Tuesday afternoon, there was scarcely a table free off customer-SA discussions), a senior SA came over and took me to the Harrier. Again, more than happy and obliging with his time even though I made it clear I was here only for inquiry by proxy and out of automotive interest. This positive, accommodating attitude (carried over from last time) has left a lasting impression on me regarding the Tata dealer here. 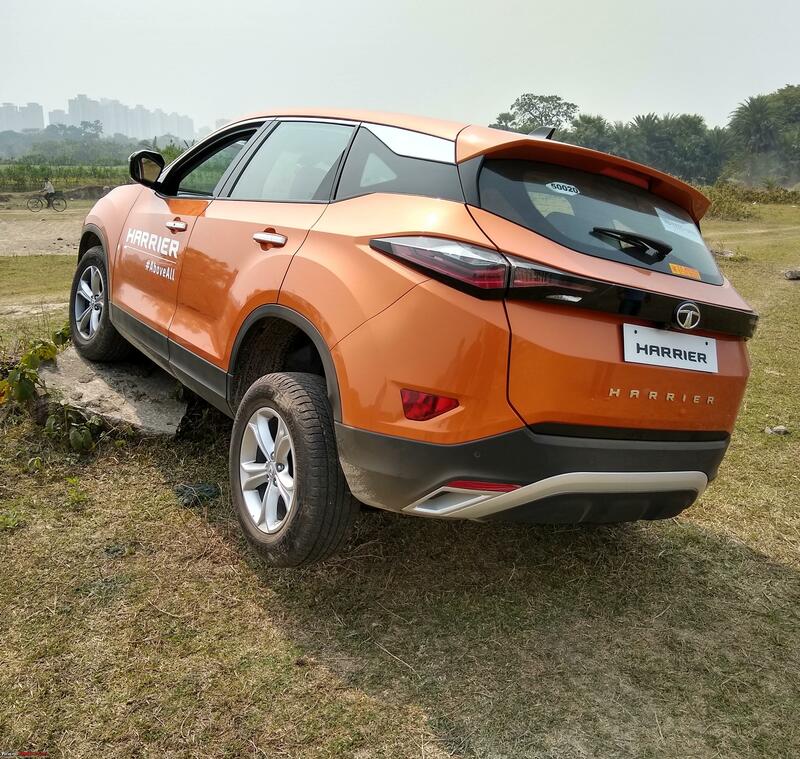 As an aside, this is owned by the brother of the Toyota dealer in Jabalpur (Commercial Toyota), which is EXCELLENT (even by Toyota standards - have both first hand experience and many testimonials). 1. Bear in mind that the car wasn't in direct sunlight and not in a place where I could view it from a sufficiently distant perspective to get the best angles to judge the exterior. 1.1 - Looks just as good in person as in photos. Not necessarily a good thing - most cars look better in real life. 1.2 - Callisto Copper is a less vibrant shade than I expected. Dust of south and central India will not show up on the shade, which is good, I suppose. Personally, I was hoping for something closer to the Discovery's "Namib Orange". I think Telesto Grey will look smashing - especially in half-light scenarios. 1.3 - Again, my perception of road presence is skewed by being used to the Endeavour (and also by the fact that I don't much care about it), but somehow the Harrier didn't come across as strikingly as I'd hoped (again, could be placement and lighting). I really like the squatter (relative to other crossovers) stance thanks to the width, and to me it looks extremely well proportioned, but it doesn't look tall enough to be as imposing as many seem to want. My feeling was vindicated by spotting a Discovery Sport less than 10 minutes after leaving the showroom - it certainly has more presence. 1.4 - Continuing on from the Discovery Sport comparison, while the Harrier appeals to me as a more proportionate, flowing design, the front of the DS is handsomer. Basically, the Harrier's front didn't work for me - the DRLs come over into the centre a bit too much and constrict the grill and it all seems to bulbous and narrow and out-of-whack to me. 1.5 - Notice the placements of the ORVMs in terms of distance from the main body. Distinctly SUV-ish, and complement look and function in my book. More on the whole blind-spot issue later. 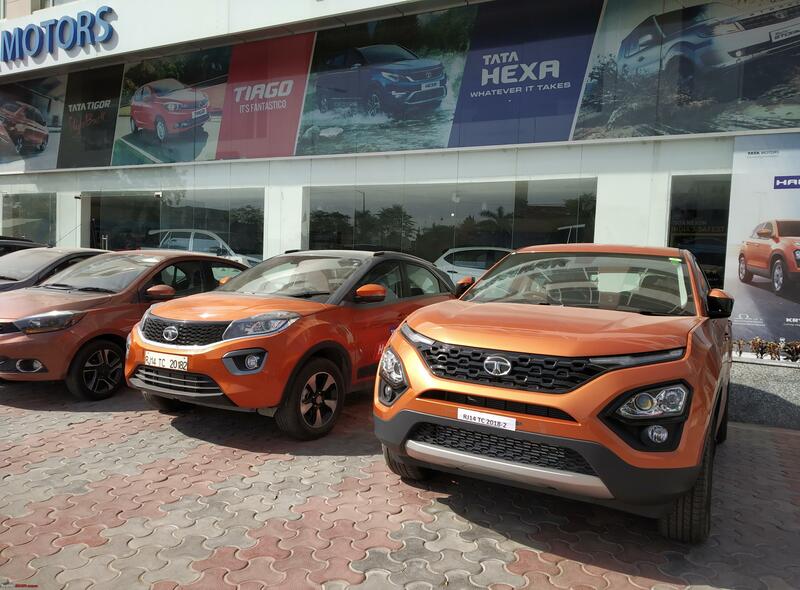 2.1 - Let's put one thing to bed - Tata messed up with the pre-production cars and created a lot of doubts and bad tastes in the mouths of potential customers. 2.2 - While we're at putting things to bed, this example of a final production version - panel gaps wise this is unequivocally as good (if not better than in places) as the Endeavour or Compass. Anything larger than average is perfectly uniform, well executed and necessitated by more radical design cues. 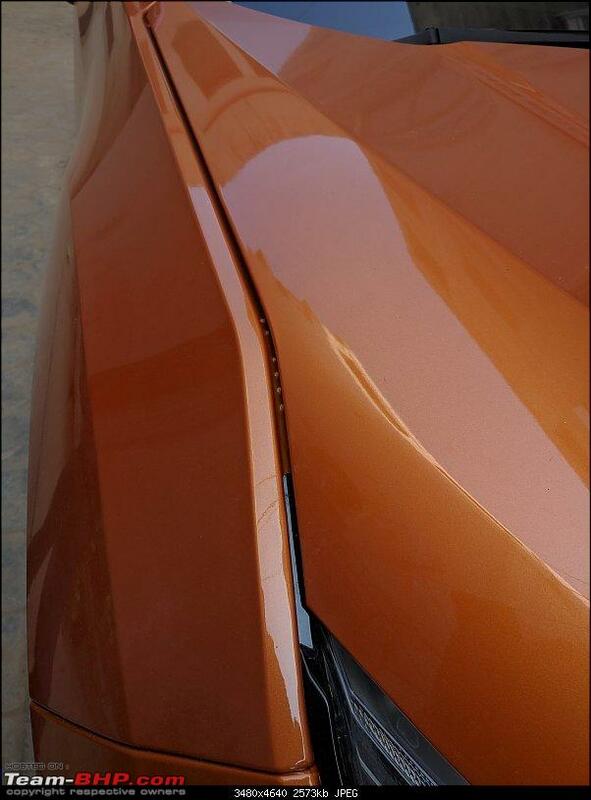 A major step up for Tata - Mahindra can't even dream of such panel gaps as of now. Gone are the days we can complain about "Indian" manufacturers and their fit and finish - it's only Mahindra now. This particular Tata is global good. 5.1 - Neat and well-spaced. Looks very reassuring from perspectives of service/repair and well thought out design principles. 5.2 - Notice the lack of Hydraulic struts. 6.1 - Hood is HEAVY. Nice, but not Compass heavy. That thing is from another time, a better time. However, the Harrier lives up to the heavy sheet metal trend I love in Tatas like the Hexa and Zest. 6.2 - The hood insulation is a BIG disappointment here, and certainly plays a part in the biggest grouse in the car - NVH (more on that later). Only thick and spongy (and effective) in the middle 25-30% (width-wise). The rest feels like two sheets of cardboard. In the Endeavour (among the most refined cars one can experience), the thickness is uniform - as I think it should be in all cars. 7.1 - Couldn't get sufficient distance sideways to photograph it in the perspective I wanted, but this car may be based on the Discovery Sport, but looks most like the Ford Edge to me (not a bad thing). 7.2 - Have a look at the "all colours from all angles" videos on Youtube and you'll see what I mean about the Ford Edge like look, and this being one of the best angles. This car is the closest to reality in pictures. Of course, digital colour accuracy remains unreliable. 8.1 - This part of a car is where you seperate the men from the boys - materials and panels hodge-podge coming together, and Tata has dispatched it flawlessly. The picture speaks for itself. 8.2 - Non body-coloured shark-fin antenna. I've always HATED them anyway - don't know if a contrast colour is good or bad. 9.1 - I love the central Harrier badging. Spacing is just right. 9.2 - Notice the overall cohesion of the design. 9.3 - I think the rear wiper could've been a touch longer. 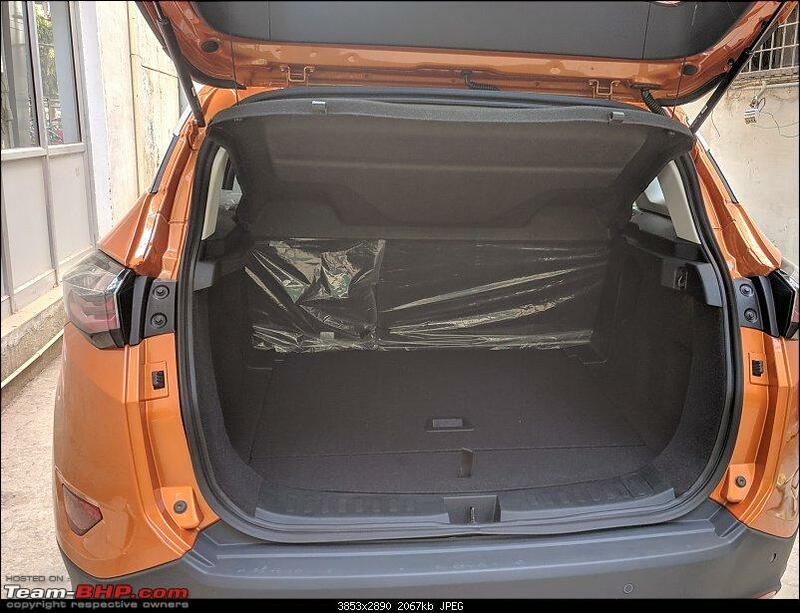 11.1 - Tata are masters of space, but somehow the haven't managed to better the master of packaging, Hyundai, by offering a boot that is that much larger than the Creta. 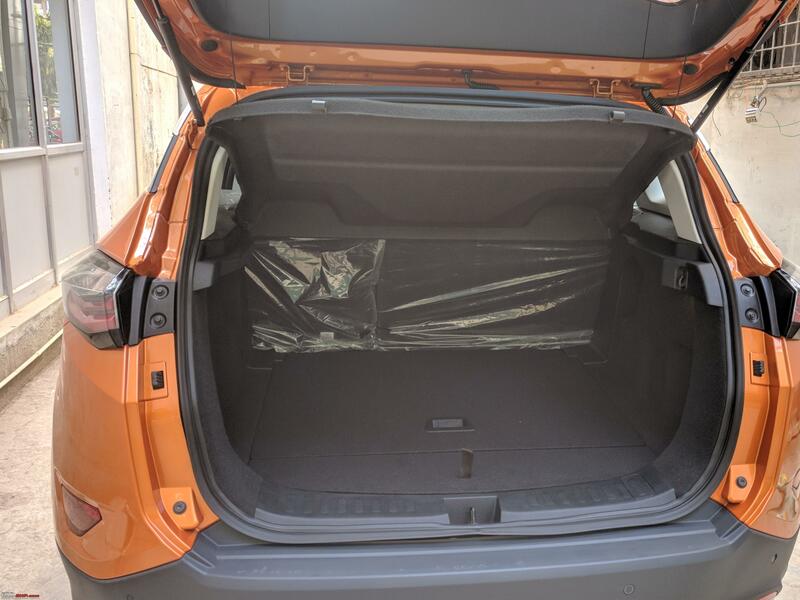 I mean, I made no objective measurements, but the Creta's boot space is immediately impressive and this being a Tata on a larger platform, I'd expected to be confronted by something as cavernous as a cave. Not so. 11.2 - Bottom line, good enough for a long trip for 5 if packing sensibly. Nothing that will spoil you like a true expedition vehicle. But in no way is it a deal breaker in my perspective of evaluating it as a car for roadtrips for a family of 5 (my friend's requirement). 11.3 - If you set aside my somewhat unrealistic expectations, the boot is adequate, and more importantly, well shaped with a very convenient aperture. 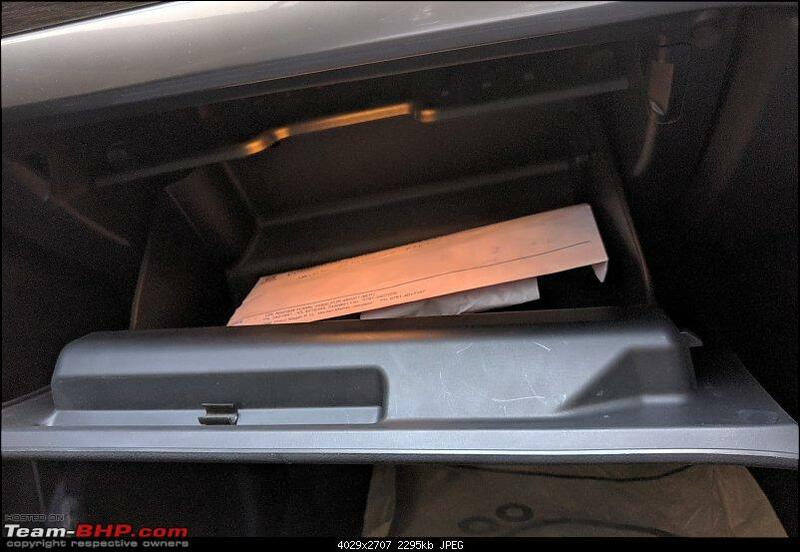 11.4 - Boot opens electronically, but doesn't automatically raise itself - that's manual. Very light to operate though. No issues with closing handle placed inside (same as Endeavour). 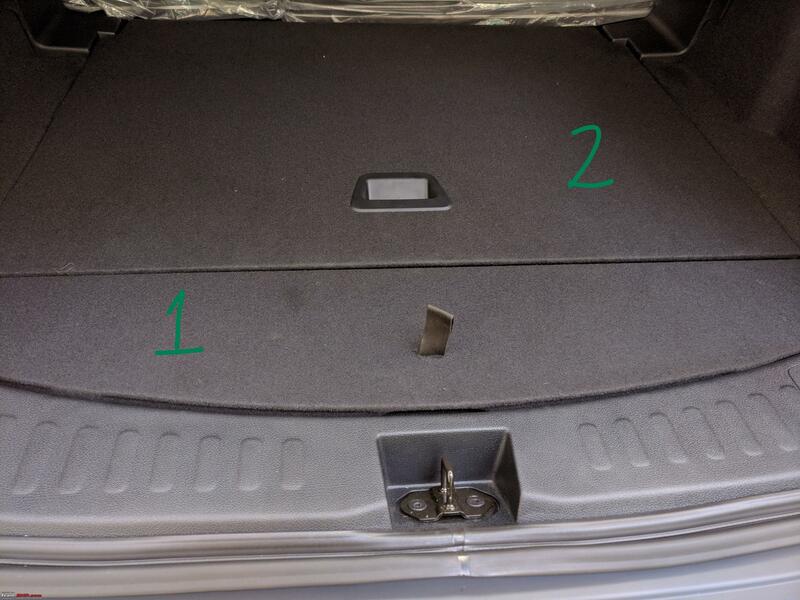 14.1 - Lids for both spaces aren't hinged. While not particularly cumbersome to put hold or back, it's certainly disconcerting to suddenly have them pop out, and not exactly ergonomic to put them back. 14.2 - No load lip is a positive. 17.1 - Notice how well the crease concentric to the wheel arch is integrated in the fuel door. 17.2 - Now for something rather odd - front doors are noticeably and not insubstantially heavier than rear doors. 17.3 - Not much of thud outside, nice reassuring sound inside on closing the doors. 17.4 - Insulation is fair. Handily enough, there was some hammering going on close by, and I could test it easily. Insulation is creta-like - nowhere even the same ballpark as the Compass. 17.5 - Notice the ORVMs - shape and placement - from this direction as well. 17.6 - From this angle, I certainly think a body coloured antenna would've been more cohesive. 18.1 - Well finished and classy. 18.2 - Fit and Finish is as good as Creta. 18.3 - Build quality is better than Creta. 18.4 - Feel of materials is distinctly more premium than Creta, but lower than Compass and Endeavour. 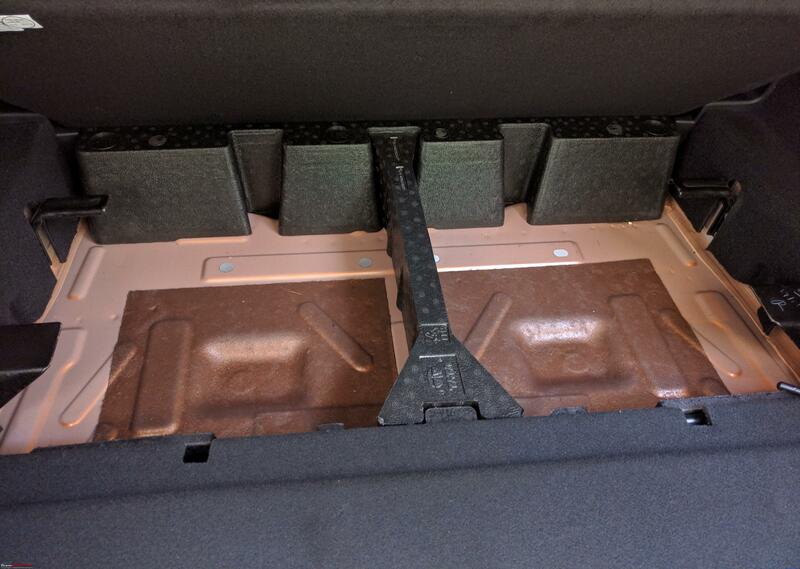 18.5 - Roof liner feels extremely premium - a real highlight if you notice it. Better than even the Kodiaq or Endeavour. 18.6 - Checked under all roof-mounted grab handles - finish is perfectly fine, unlike pre-production reports. 18.7 - Manually dimming IRVM, but wipers are automatic. 18.8 - ORVMs won't be as much of a blind spot issue for BOF drivers, but they are certainly placed about an inch too high. Will reserve judgement for a test drive. 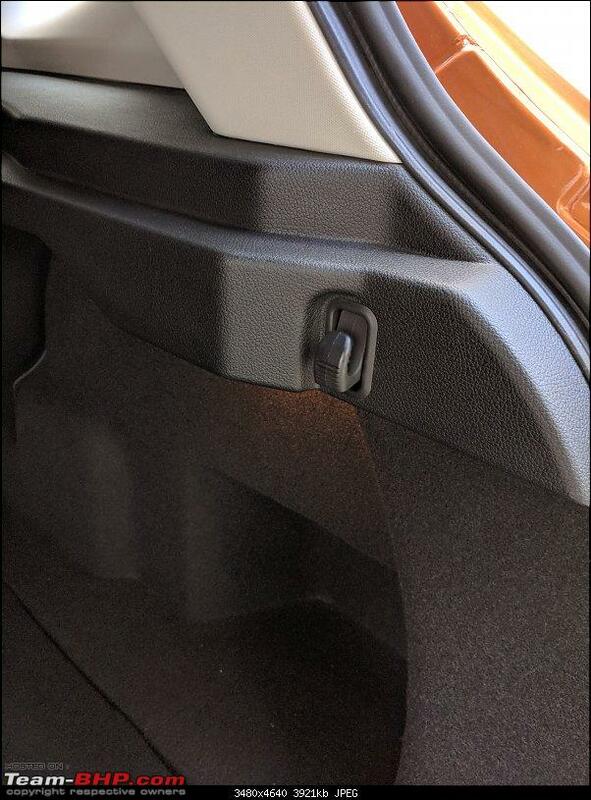 18.9 - Hard to judge wow factor in a car with plastic all over - I need to see an interior light up on unlock in a pitch black garage post a 3M treatment to even have a chance at being wowed by anything less than a Volvo/Range Rover. Reserving judgement here. 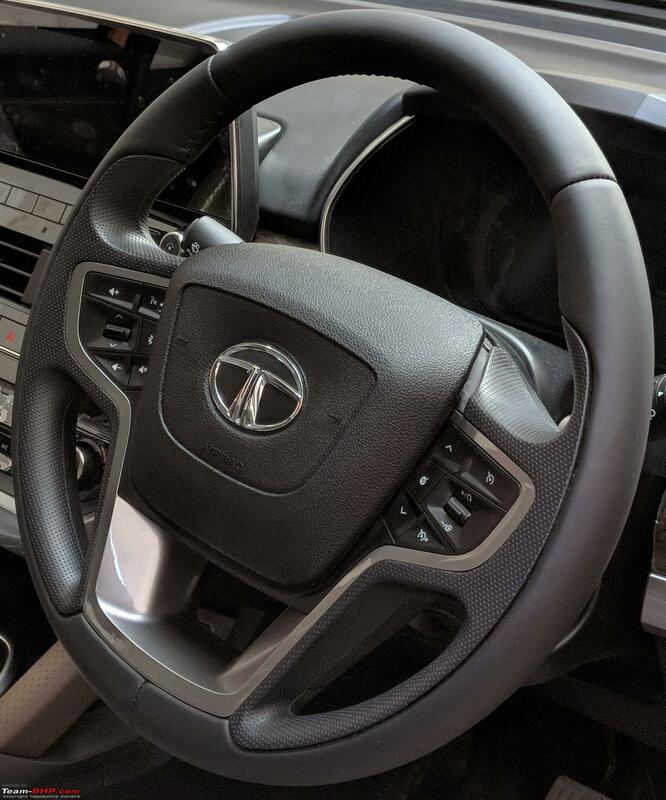 18.10 - Fit, finish and general look is more upmarket than the Hexa, even though my truck-biased aesthetic sense prefers upright to swooping dashboards. 19.1 - Seat material looks extremely premium (as good as Volvos in real life). Shape, not so much - more like a smaller Endeavour in that department (not a bad thing). 19.2 - Again, to touch, they feel way better than the Creta (not comparable really), but below Compass (slightly) and Endeavour (significantly). 19.3 - Driver's seat gets 6 way adjustable + lumbar (no squab tilt). 19.4 - Underthigh support for taller drivers is surprisingly an issue. 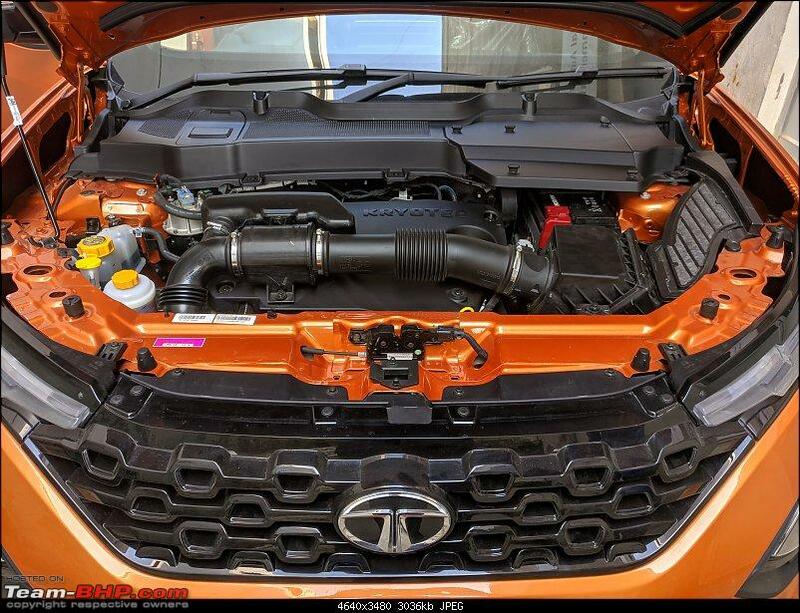 19.5 - Rear bench is a typical Tata highlight. Having seen only captain seat versions of the Crysta and Hexa, I can confidently say that this is the widest for 3 abreast I've seen recently with the exception of the Kodiaq. Will do two normal and one large adult in comfort. Seat contours are very sensible and keep outer two passengers comfortable without shortchanging the middle passenger, transmission tunnel is genuinely rather narrow and low (unlike how every autorags claims it is in every car, and it never is). 19.6 - Reserving more details on comfort for a real test drive. 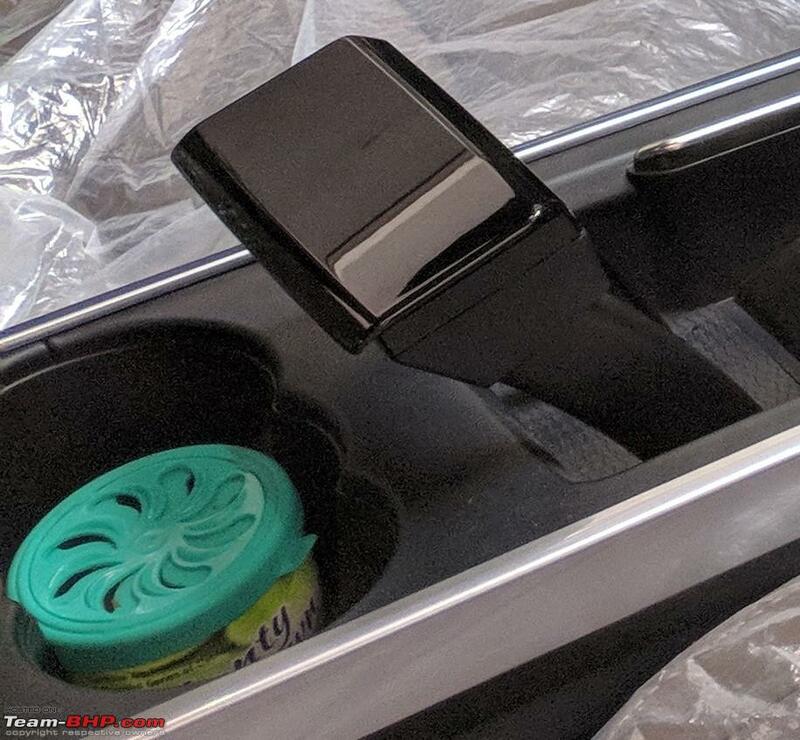 19.7 - No pillar-mounted grab handles a la BOFs to ease ingress. 19.8 - Even though the car isn't that high, side steps will be preferred by those who are advanced in years and/or infirm. 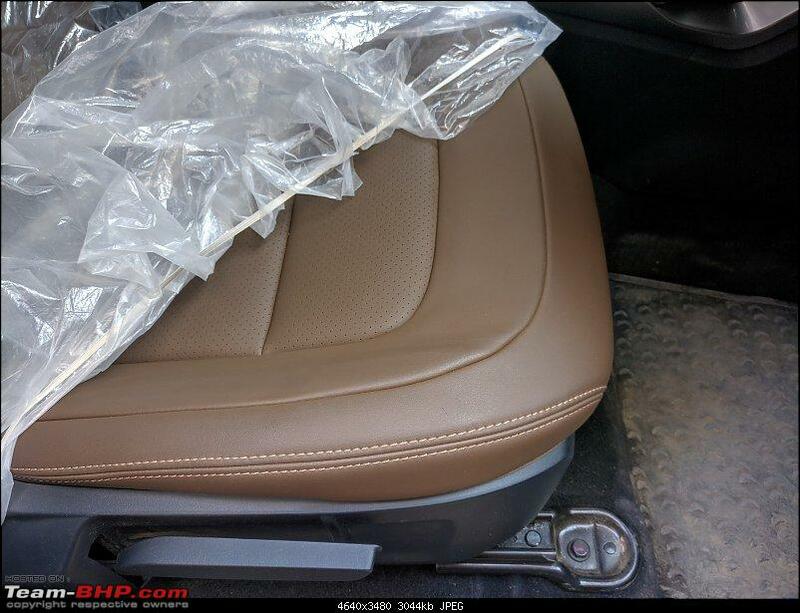 19.9 - Hexa's seats are the most comfortable (better than the Endeavour IMO), and the material feel is better than the Harrier's. 20.1 - Steering doesn't look as ungainly or oversized as in photos. 20.2 - That said, the bulbous nature of the horn pad does beg the question - "Why Tata?!?" Could've been way classier, really easily. 20.4 - Track switcher, volume up and down, voice commands, mute and source on the left. Cruise control +/-, set, cancel and MID view navigation on the right. 20.5 - Can't make calls via recent calls list from the MID (isn't there on the MID) or without moving hands from the steering - highly valued Endeavour feature for me. Here, one must look at and then use the touchscreen for this. 21.1 - Wood finish is good. Not as premium looking as in the press photos - Harrier in photos looked very like Volvo did in real life to me. Perhaps because it was more faded in press cars - can't say that's a bad thing, if it'll get more Volvo-like with age. Basically looks quite a bit more saturated than all the initial media pictures. Obviously didn't touch it (plastic-covered), so can't comment on the feel. 21.2 - Piano black attracts dust and fingerprints like nobody's business. Can't say I'm a fan of it in any car - only looks good clean and in photos. Same here as in every other car. 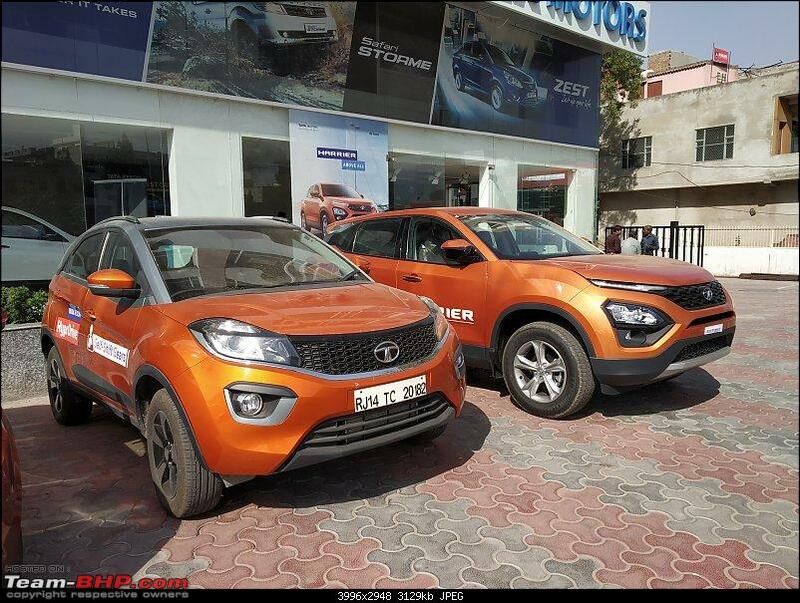 21.3 - Silver accents are much less garish than the Nexon, and look almost as nice as the Endeavour's. 21.4 - Starter button felt nicer to use than the Creta's (whatever the hell that means). 21.5 - Dashtop plastic is good quality - not soft touch. Couldn't care less about a soft-touch dashtop myself - as long as it looks premium, I'd rather the manufacturer save the money (to whatever end), like VW does. 22.1 - Had a very cursory look only - didn't check solidity or laptop tray. 22.3 - Smoothly latching with damped opening. 22.4 - Illuminated but not lockable. 23.1 - Responsive and well laid-out. 23.2 - Didn't feel as nice to touch as the Endeavour somehow (not just due to the plastic) - even though the Harrier's is "snappier" by a hair. 23.3 - FCA's UConnect remains the benchmark (purely in terms of phone-like touch and customisation). 23.4 - Row of physical buttons is a bonus. Dials are standard. From L to R: Volume/Mute/Power, Home, Favourites, Track back, Forward, Phone, Back and Tune. 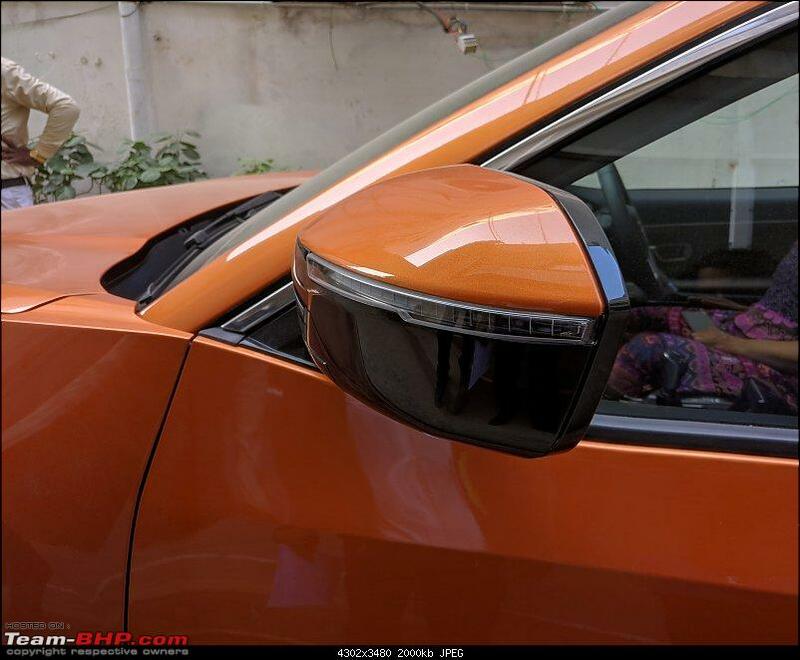 23.5 - Notice the gauge cluster door-open graphic. Looks very cool and is straight out of the Velar. Checked that it correctly shows the right set of simultaneously open doors. Much snazzier than the functional yet drab read out warning in my Endeavour. 23.6 - Generally speaking too, the gauge cluster is cool and futuristic looking - it's not modern supercar cool, but is much above even cars 2x its price. Clear too. 23.7 - MID has Trip A, Trip B, Average and Instantaneous fuel economy. Fuel gauge looks cool too. 23.8 - While I omitted to take my pen drive out of my car (couldn't play lossless audio directly as a result), sound quality through Bluetooth was VERY promising - the lossless file on my phone sounded better than even the best LDAC and aptX-HD enabled headphones I've used (and I use decent audio equipment, mind you) - I confidently expect it to match the Endeavour's system (much better than the Kodiaq's IMO). Cars in the Harrier's price band aren't even worth mentioning here. 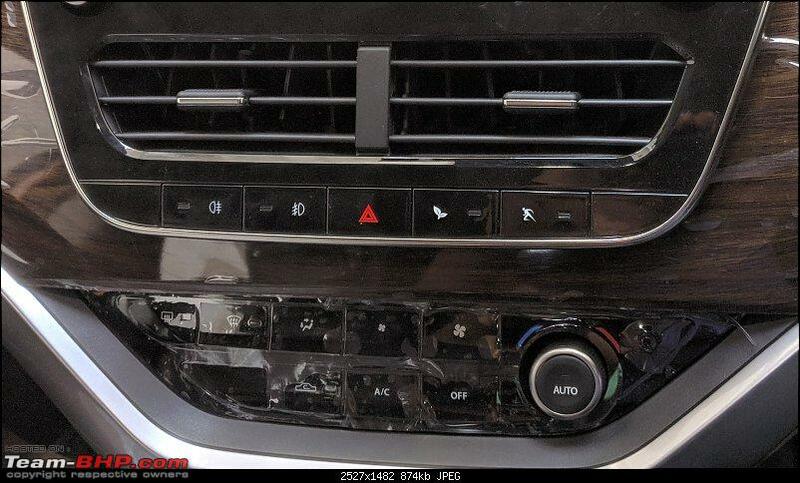 The test drive Hexa was a real disappointment I remember - broken USB, and bluetooth quality translated poorly. 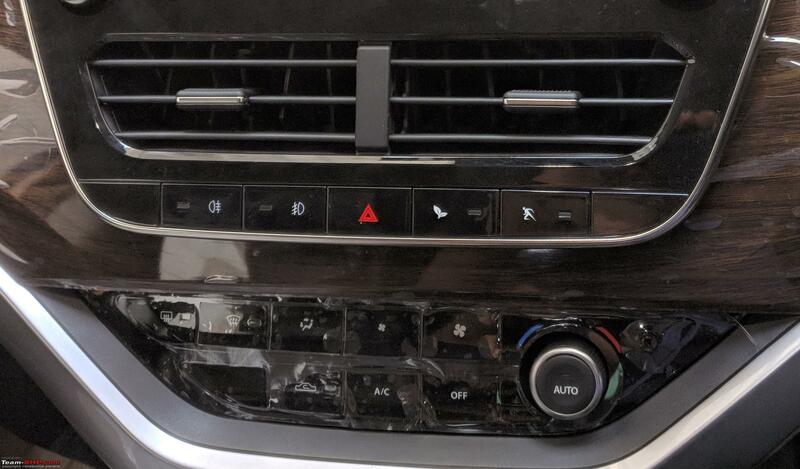 24.1 - Rear and front fog lamps, hazard warning, then eco and sport mode in the row below the vents. 24.2 - Vents are well placed to give unobstructed airflow (an issue with the Endeavour's driver's side). 24.3 - HVAC has a dial for temperature (another issue in the Endeavour). 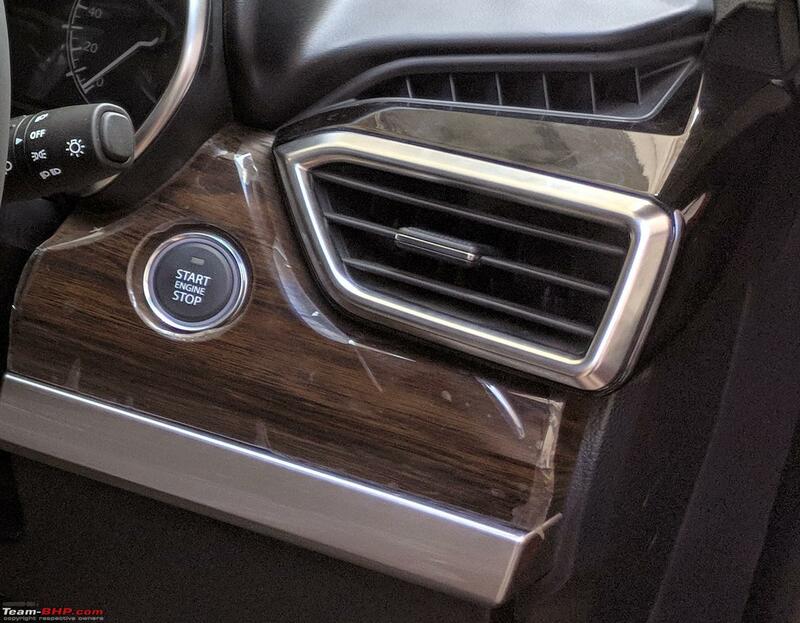 24.4 - Physical buttons for all HVAC functions (vent selection is touchscreen only in the Endeavour). 24.5 - Separate buttons for reducing and increasing fan speed - not a dial. 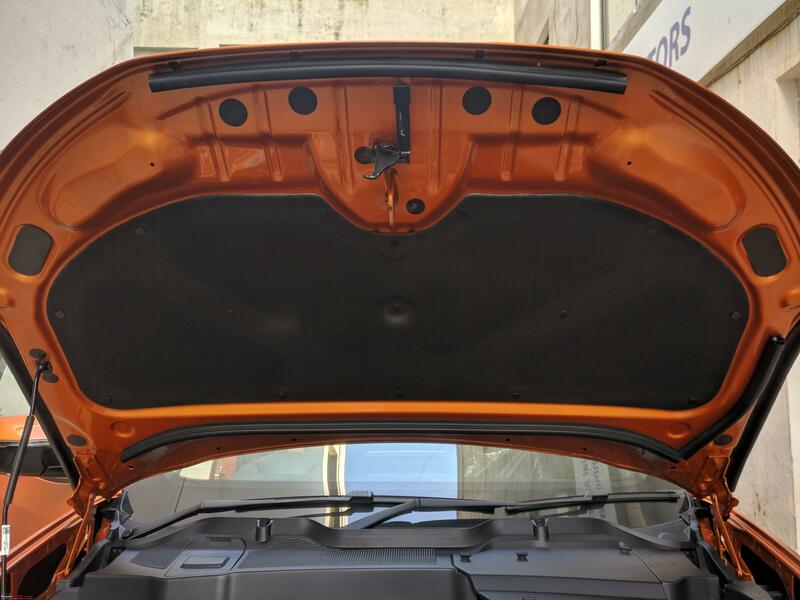 24.6 - Fan noise is much better controlled than the Hexa (which isn't much of an achievement - fan noise is at deal breaker levels in the Hexa) - but is barely comparable even with the Creta (not comparable with higher segment cars). At no speed is it inaudible (at least Creta has a very usable no-sound level 1), and noise increases quickly and steadily with fan speed. All tests conducted with the engine at idle. 24.7 - Will reserve judgement on effectiveness for a test-drive, but experience at idle and Tata's track record point to a chiller. 24.8 - One irritating blank even on the top-end trim. May be for missing dual-zone on a later, much needed better equipped auto variant? 26.1 - In addition to Normal, Eco and Sport Modes, this dial (straight outta the Hexa) changes from Normal to Wet to Roughroad (clockwise). 26.2 - Lever action is quite notchy and a little rubbery. A disappointment here from Tata, IMO. 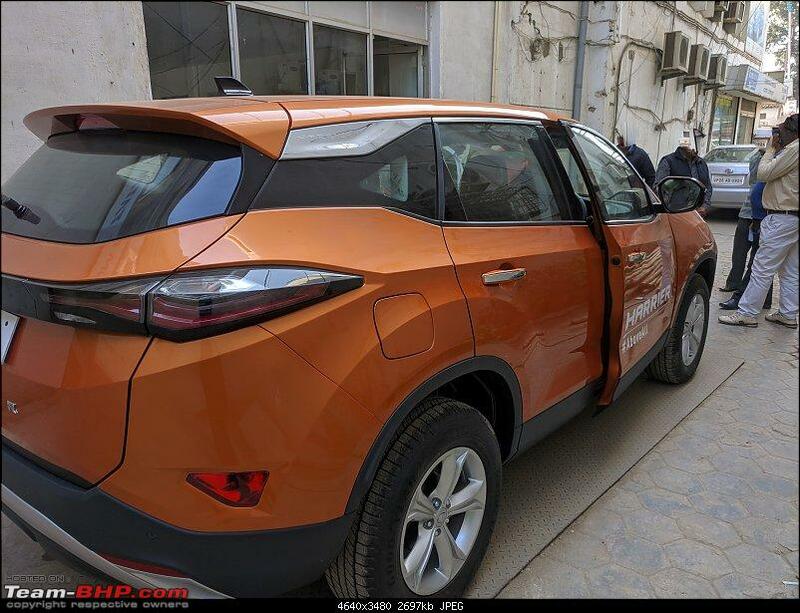 Not a deal breaker, and nowhere as bad as a Hexa, but it just doesn't fit the overall profile of the car. Just about every manufacturer worth talking about has slick gearboxes - high time Tata pull up their socks. 26.3 - Lever travel is on the higher side for a monocoque. 26.4 - With regard to touch feel, the lever belongs in a car a segment lower. 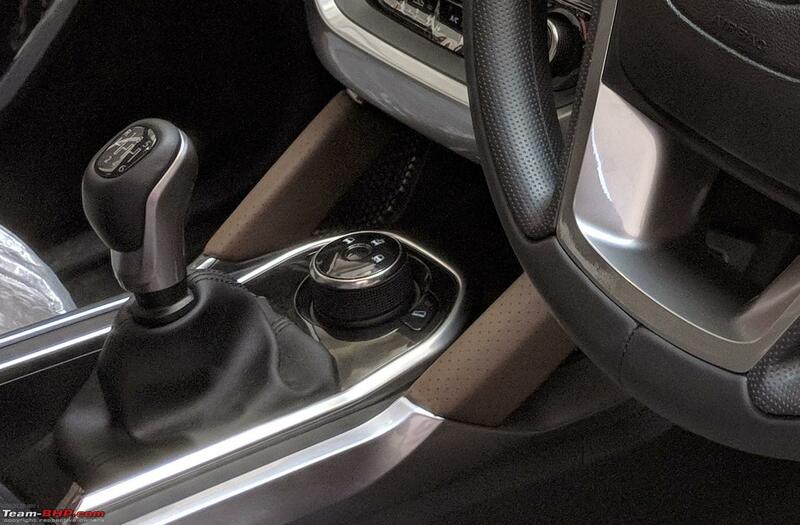 26.5 - Gear stick dances around almost like a BOF at start-up, but settles quickly. 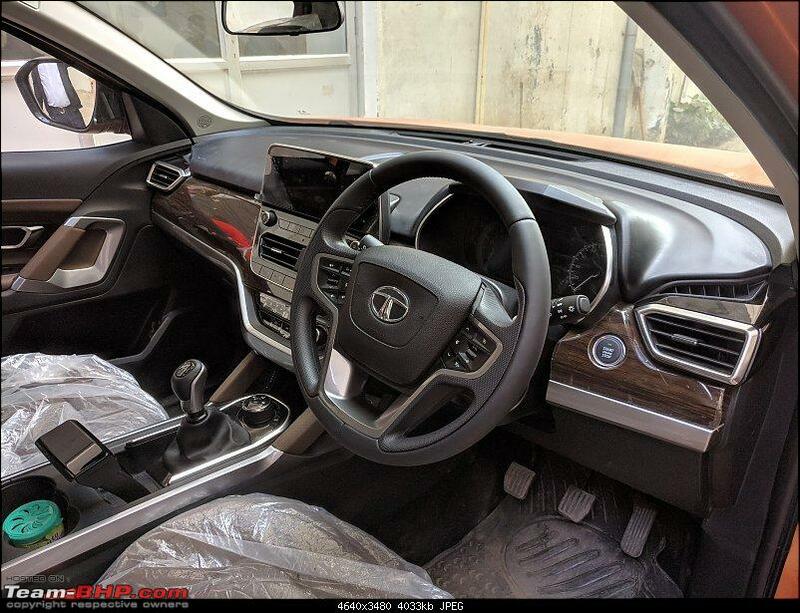 26.6 - The two flanks which join the centre console to the dash are solid - again, Tata has done a better job than Hyundai on this count. 27.1 - Basically, with the handbrake, Tata has come up with something cool that could've been a rare successful reinvention of the wheel, but poor execution has turned it into a gimmick at best - this is the second (and much bigger) glaring fit and finish issue I talked of. 27.2 - The basic idea is the same - you press something and then you pull something to engage, then you press something and bring something down to disengage - but it's just not smooth. 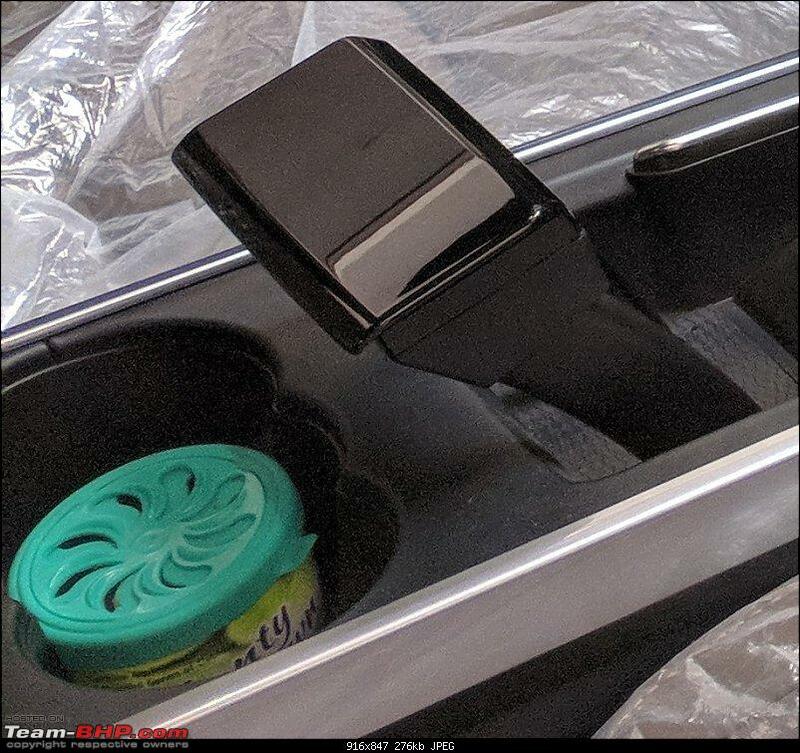 27.3 - Also, underneath the handbrake, especially where the two moving, vertical stalks go into the centre console, the finish is bad. 27.4 - Not executing it to go flush with the centre console is a big miss - would've really enhanced appeal. 27.5 - Bottom line, this handbrake is the definition of an unergonomic gimmick. 27.6 - Cup Holders are a miss as well - weird 3 cup design and too small to be practical. 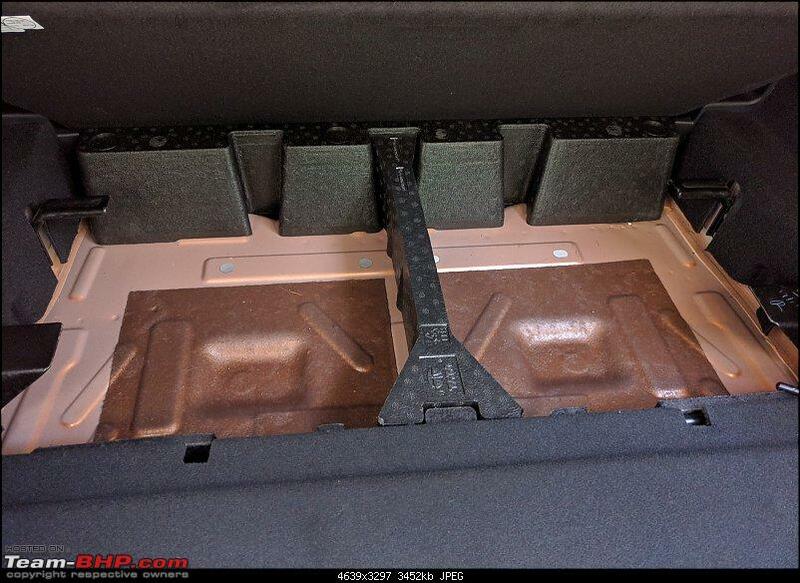 27.8 - Under armrest storage is typical of unibody's - no cavernous space like a BOF here. Didn't test the cooling or anything. 27.9 - Coming to the biggest ergonomic miss in the car - completely, utterly useless armrest. It's just stupid. 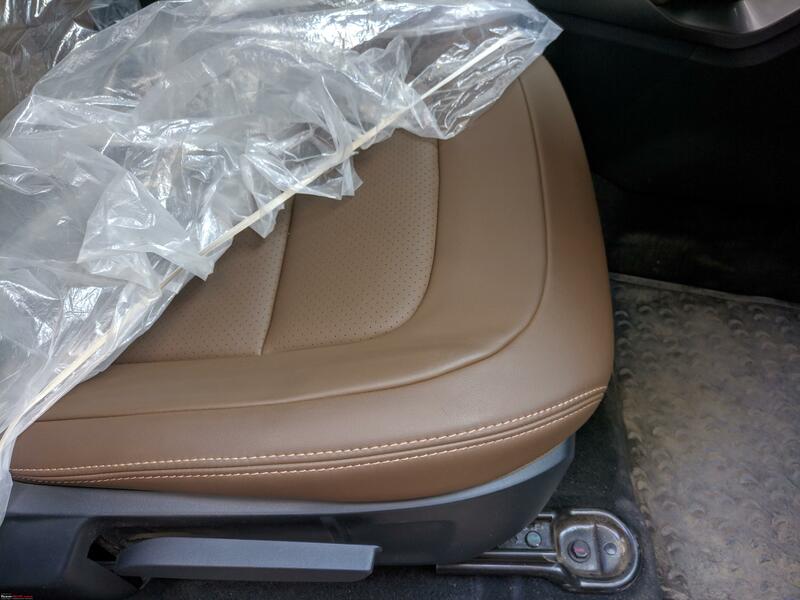 Best thing to bring over for Land Rover pedigree would be individual armrests for seats (something the idiots messed up going from the Aria to the Hexa) - short of that, the armrest could've been sliding or even remotely useful, but nope - nothing doing. Oh, there's a slight chance Yao Ming might be able to use the armrest, but anyone shorter doesn't have a chance. 28.1 - Well spaced ABC pedals result in a useless dead pedal. I love the cars that manage to do this well - unfortunately, they're very few and far between. 28.2 - Clutch is absurdly light as others have mentioned. To put it in context, think petrol hatchback light. Not smaller diesel CUV or even smaller petrol CUV - think 800 - 1200 CC petrol hatchback light. 28.3 - As for travel, think truck - very much a true SUV there. 28.4 - Left Knee "issue": Well, between my feet (US12, extra wide) and driving for years without one, I've come to like resting my knee around the dash and centre console (do that in my AT Endeavour with a thinner than I'd like but still roomy dead pedal), so not an issue for me per se, but anyone over 5'10" will have their knee in that general area given how close you have to sit to be able to depress the clutch fully. No two ways about it. Not an issue for me, your mileage may vary. 28.5 - Steering's telescopic adjust is welcome, but really the range of motion is designed around that long clutch travel - you'd be forgiven for thinking the furthest position from the dash is the position closest to the dash. Bottom line, no truly laid back position and no armrest unless you're Shaquille O'Neal. 28.6 - Gear stick falls to hand easy. 29.1 - This is the only hole in an otherwise well-rounded, mostly brilliant, irritating at some places, generally convincing package. 29.2 - While the blower was quieter than the Hexa (again, not saying much, engine is noisier here). 29.3 - Whether it's a deal breaker or not, is up to you, do experience it in person. 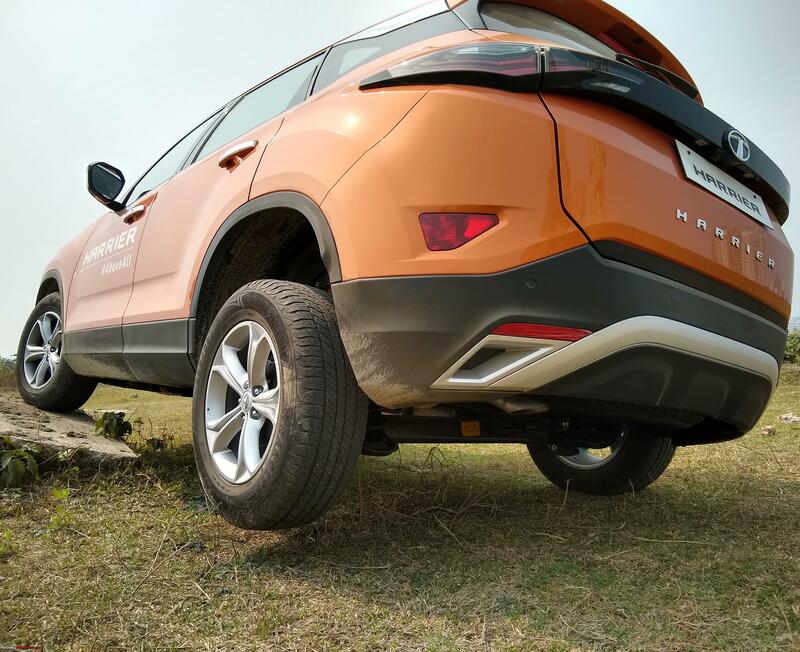 For reference, other than higher budget available to buy the Endeavour, the deal breaker in the Hexa would've been the NVH, even though many owners on this forum laud it. 29.4 - First of all, how did I judge it without a drive? I say engine related up there for a reason - best I could do in a stationary car. I revved it (up to 3k only) and maintained a number of RPMs. 29.5 - While the engine note is pleasant (I'm easily pleased with mechanical sounds, don't take my word for this), it is intrusive. A Creta at 2.5k rpm is roughly what this sounds like at 1.5k rpm, which is very much cruising engine speed. Now, for me, this is problematic, without or without music for the kind of long, breakless stints I put in. 29.6 - Things go from intrusive to bad from around 2.25k rpm. 29.7 A question to all who've checked the Harrier out - Something strange which I first heard from my friend's dad (the family who's buying) when he checked it out in a trip to Bhopal. The engine sounds quieter outside than inside. There's also a boomy (over and above the standard for a diesel turbo, especially the MJD) and echo-ey kinda vibe to it. This we initially thought as an aberration because he checked the car out inside the showroom. Granted, I checked it out with 3 sides blocked off, but I was still quite in the open. Very strange. Others please confirm. 29.8 - A compass owner here says the Creta's quieter than his Compass. I for example, disagree. My point is, do check this, ride quality etc out for yourself, these things seem incredibly subjective - I picked this example to show that not every owner is a fanboy, and some things are truly subjective. Anyhow, I wouldn't compare the Compass to this as far as in-cabin engine noise goes - totally different ballparks again. A great product overall, but I really wonder about its success in the market. The most succinct and accessible way I can put it is that the Harrier is the Ritz to the Compass's Swift. The Indian market doesn't buy platforms - they buy features, looks, general impressions and what they perceive as successes and safe bets. Comparing this to the Creta (as I mentioned, I made sure I drove it before posting this), I wonder if this is "bigger enough" and prestigious enough for a conservative family to sacrifice the Creta's friendlier footprint and perceived brand value. I wonder how much a mature platform or a bigger engine matters to the average consumer here. 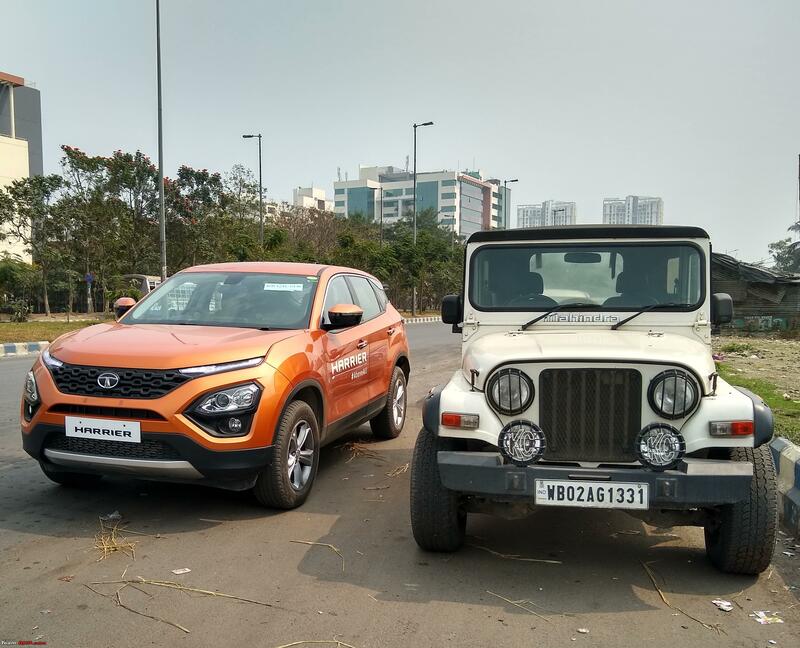 Add to that, the Creta does have decent poke, and while the ride is bouncy, it is one of the comfiest options available to the middle class - the ride is never uncomfortable despite being bouncy. It is quiet and has a reasonable "feel good" air about it. 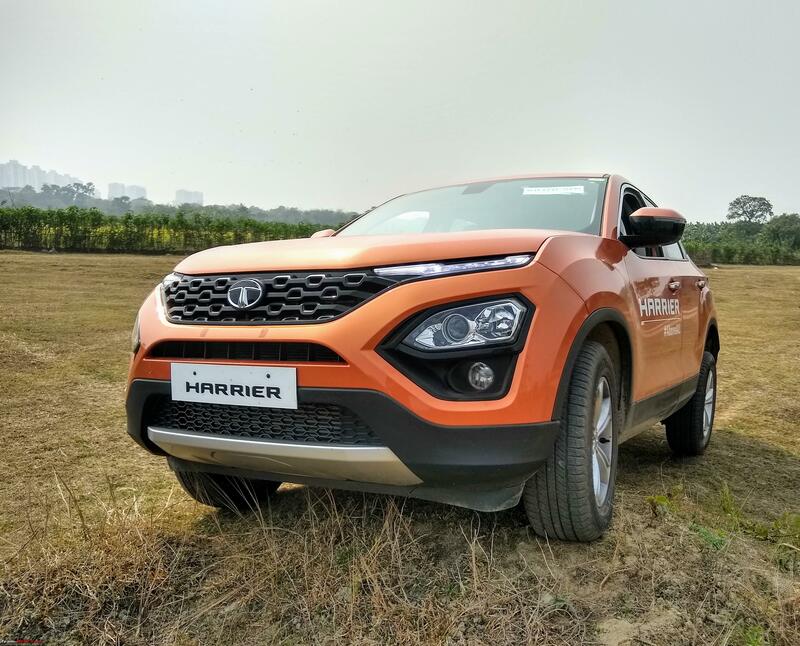 Sure, I'm yet to drive the Harrier and all of this must seem like ludicrous speculation, but given Tata's pedigree (yes, I think there's such a thing) wrt ride quality, Land Rover's consistent ride quality brilliance, and ACM's word for it, I'm sure the ride won't disappoint. That said, my point was - regardless of how good this is, the Creta's ride is at a base level of good where it might not have enough impact to sway the decision for a fence sitter. Refinement is lower on the Harrier, while its interiors and general premium feel is higher. 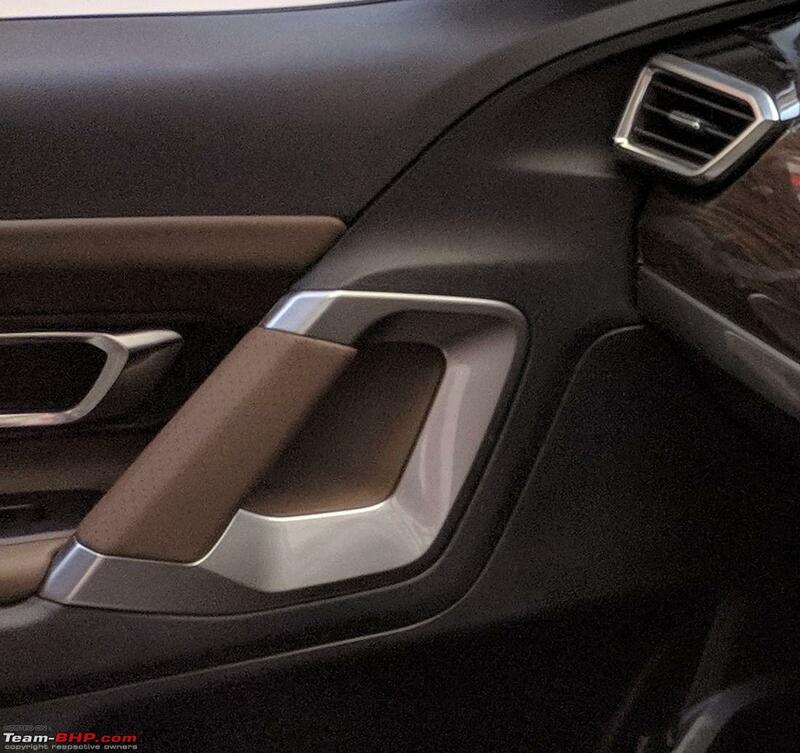 The styling will definately be a big part of many swung decisions positively for the Harrier, IMO. About the engine - well, the Creta is driveable enough - I tried a direct comparo after reading of the no issues at even 10 kph in 3rd gear with the Harrier, and the Creta starts threatening to stall at a little below 15 kph in third, and the clutch in the Harrier is lighter, but again - how much of an impact does excellent driveability and a light clutch have over the Creta's base-line? 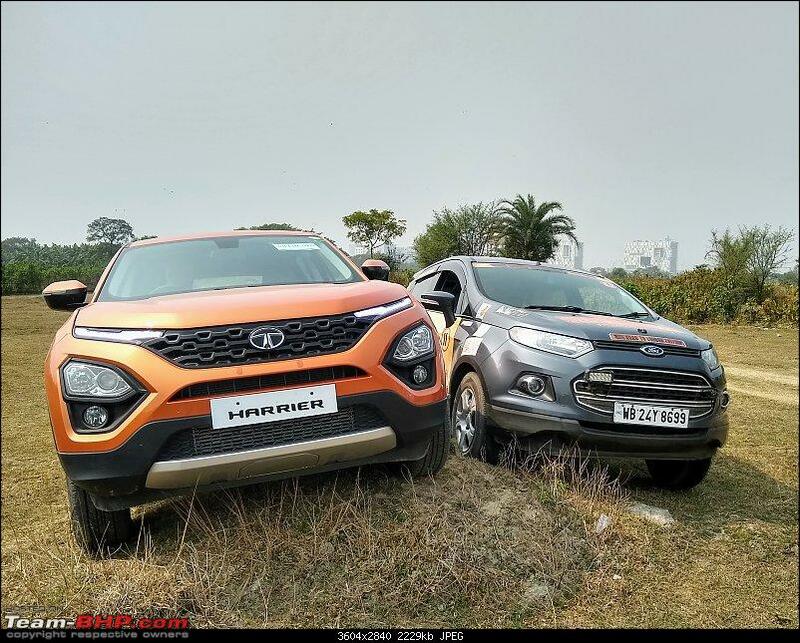 I admit all of this grudgingly, mind you - I may be loosely termed as a Hyundai and Creta hater. Also, let's not forget how much India loves mileage - who wants the bigger engine that'll drink more fuel? Hell, there are grouses about fuel economy on the Endeavour thread too. As for poke, I don't know - an enthusiast will pick the Compass I imagine, despite the flawed driveability (there's a dead spot between 1st and 2nd, no two ways about it). I mean, I'd pick it just for the build quality. But I'd have to drive the Harrier first to speculate on this aspect any further. Against the Compass, I think it makes a strong case for itself - won't go too much into this as I think my Maruti siblings metaphor says all I need to. 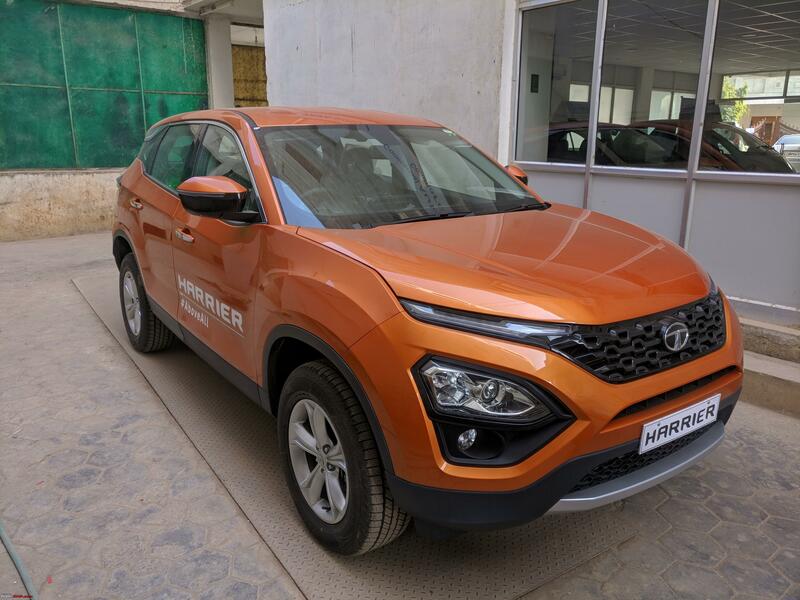 Coming back to the enigma that is the Indian buyer, I'm not too sure they go for VFM either - I mean, everyone seems to agree the Creta is overpriced. And the Hexa? 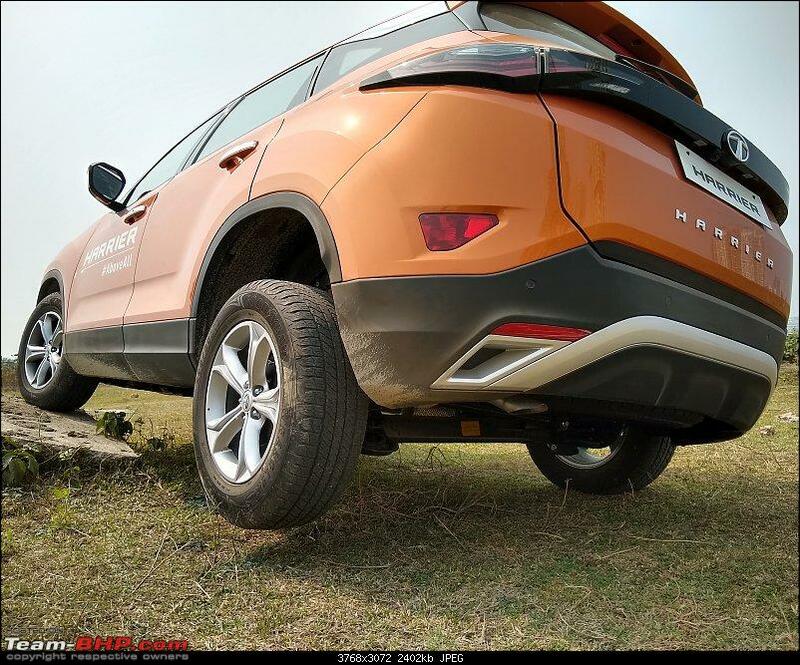 Forget everyone's opinion - in my book, the Hexa is 80% of the 2.2 Endeavour (can't compare with the 3.2 as the off-road hardware comes in) at 60% price. And look at the numbers. as a businessman with substantial marketing experience I feel that India isn't a nation which is entirely logical in making its purchase decisions, I know because I've marketed products that are 10x the quality of local manufacturing, at 3x the price, and YET at the end of the day people miss the point by a hundred miles. In India, if it works, it JUST works.. its a permutation combination that can be achieved only by fluke. I think this is a great car though, and I would recommend it in a heartbeat after 2 years on the market (no matter which company, I won't touch an all new product). This is a great upgrade for Ecosport/Other sub-4m CUV owners who don't like the Compass's cramped interior. But unless it pulls numbers from the Creta, despite its great value point (marginally more expensive than the Creta but much more of a car, cheaper and more practical than the Compass) - I don't see where the numbers it seems poised to do (3x Compass) will come from. 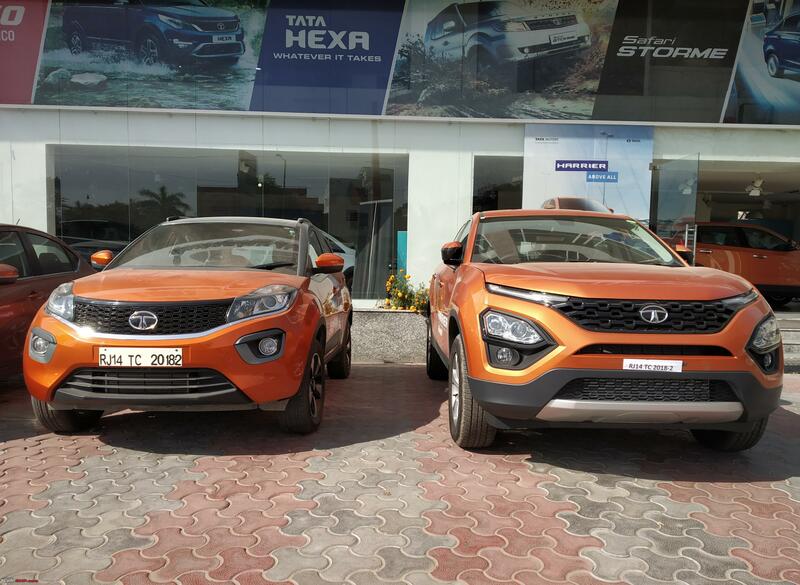 XUV + Compass + Tucson + Hexa sales put together aren't a much higher number than 3X of Compass. When I & Moralfibre reviewed the Creta in 2015, we knew that it will be a success. But such a blockbuster success? Fascinating. 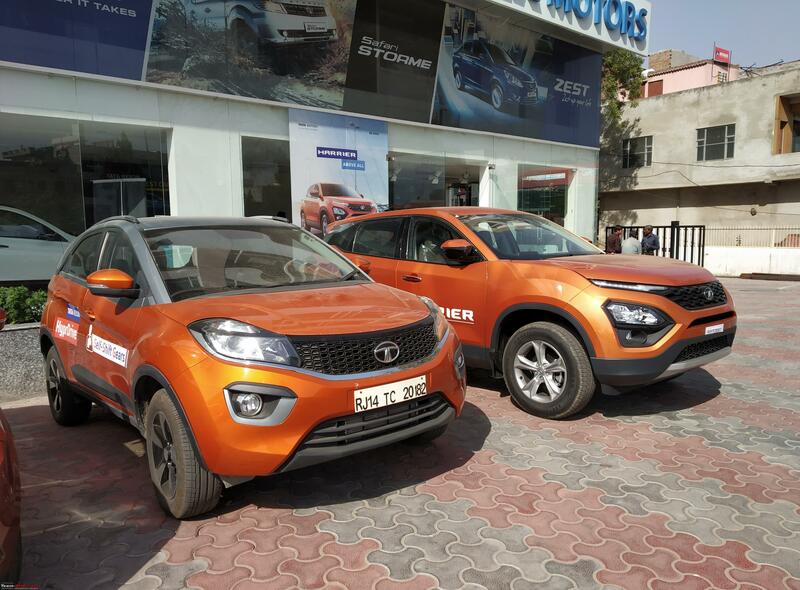 I don't think even Hyundai expected its million+ rupee crossover to sell 9,000 - 10,000 copies a month. Clearly, new niches can be carved in our market, millions of numbers added out of thin air. And when one thinks about it - even though it pales as a platform compared to the Harrier, the Creta can be thought of as a platform buy. A solid, comfortable, spacious all-rounder with missing features did work (for some reason). 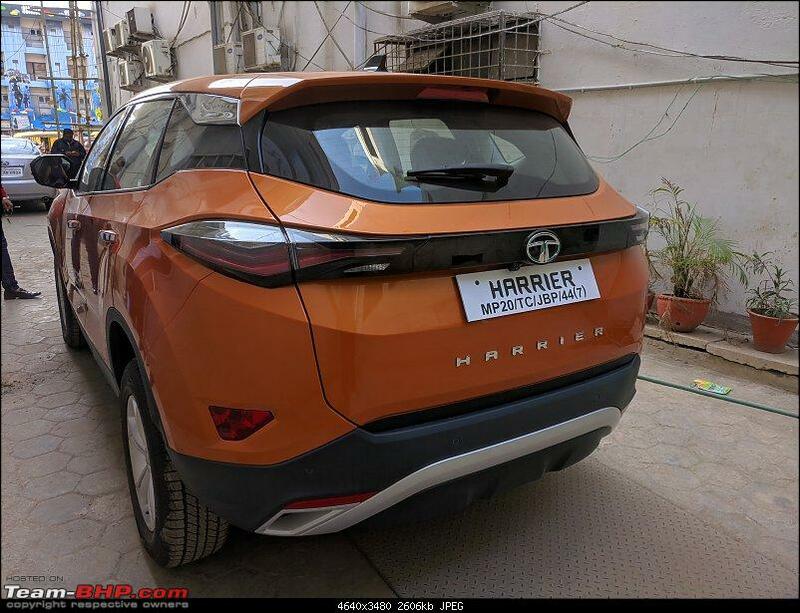 And the Harrier is similar, but also, true to Tata, "More Car, Per Car" - poised to take big numbers half a segment higher, I hope. Also, top end Harrier here is 19L. Seriously, AT + AWD + Panoramic Sunroof + Dual Tone Roof + More Colour options at 22 - 24L down the road will make it a seriously compelling product and plug a huge gap in our market in a way the Tucson and discounted Tiguan never could. 1.1. 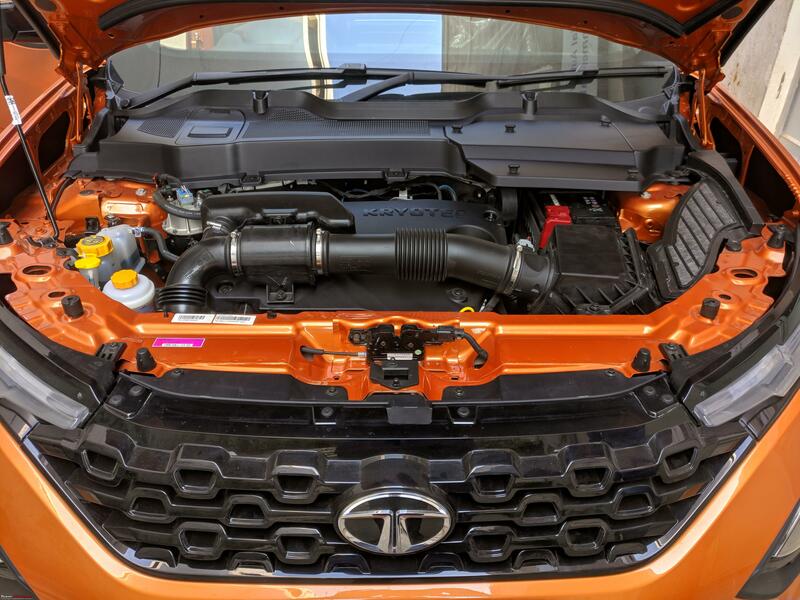 Tata has really got a "wow" product on their hands - inside, out. 1.3. This car will really hurt the Hexa. 1.4. What the hell is Tata doing with the publicity? 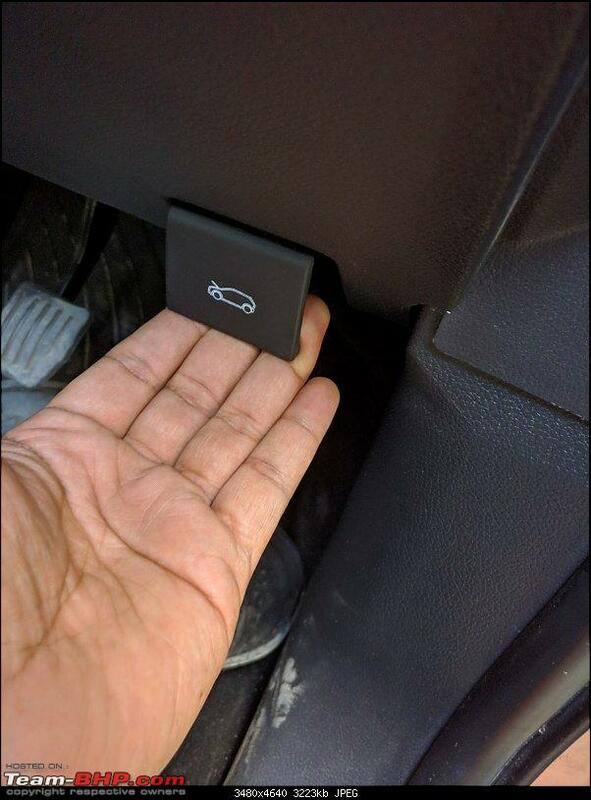 "Tata ko iss gaadi ko saari road pe bichha dena tha abhi tak" (Tata should've carpeted the roads with this). 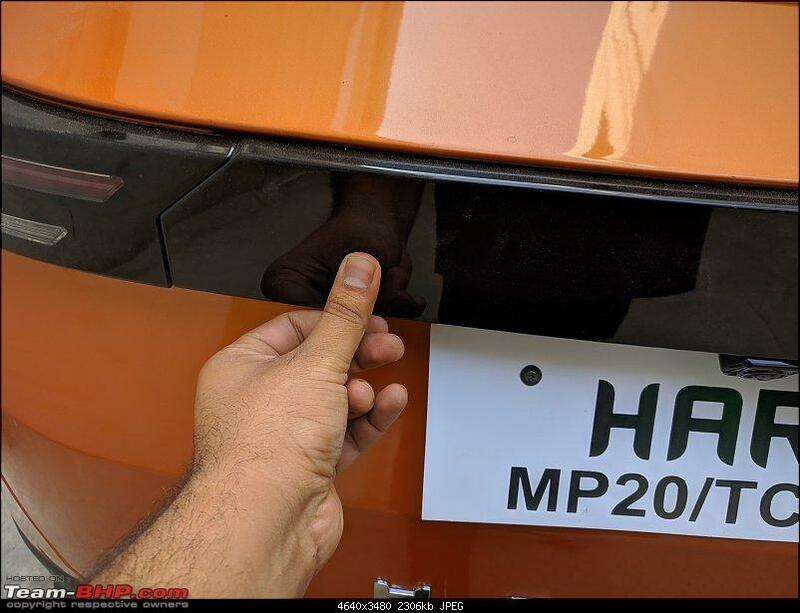 [They really should've launched from Mahindra with the Marazzo's launch]. 2. 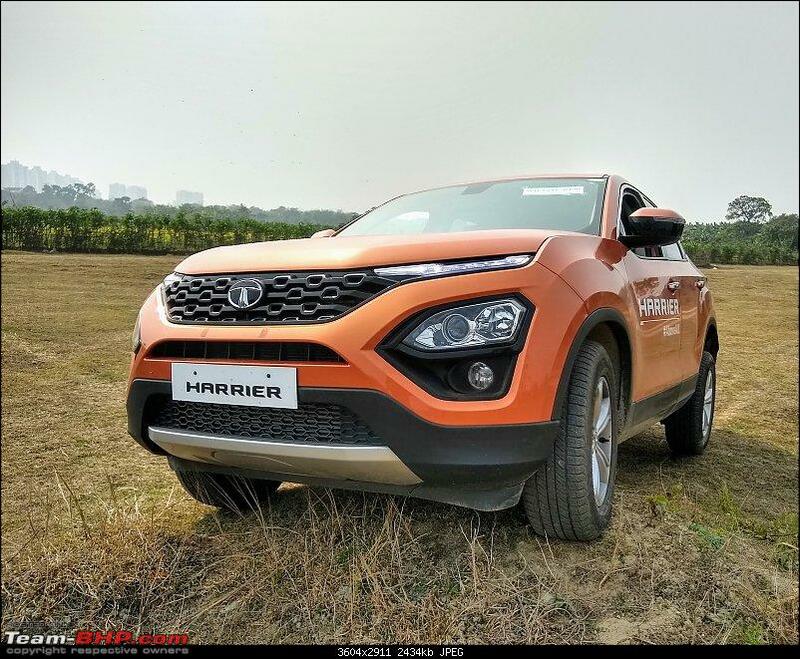 I had advocated for the Harrier over the Hexa as a more modern product (I don't see Hexa AWD as any more or less off-road capable than a lighter FWD) in a recent thread. I still feel the same way. But it was nice to hear my mom's less interested perspective as she joined me for the last ten minutes there - "I'd pick the Hexa - bigger and BOF. I don't see the point of the modernity you're talking about - maybe there is more luxury, or more features on offer, but it seems like the Hexa is more of a car for the money mechanically". Needless to say, I was rendered speechless. 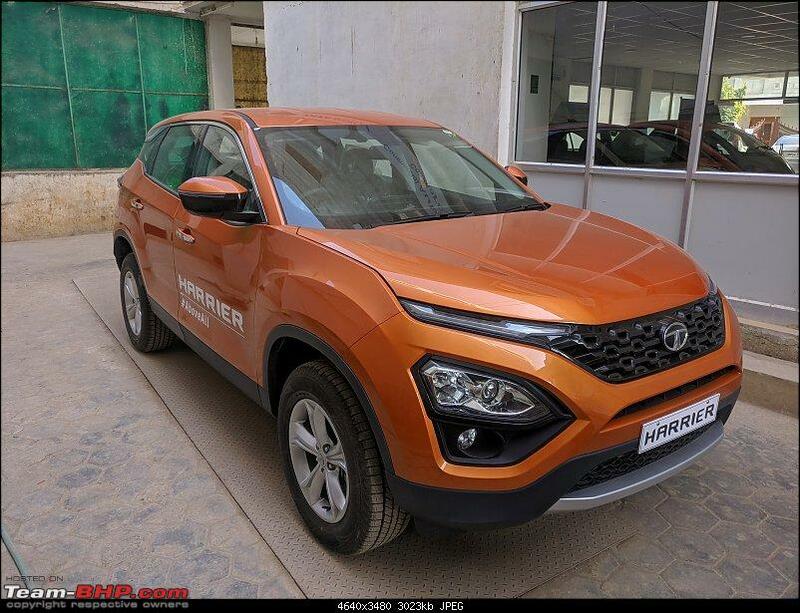 But it really made me think - and I have to exhort buyers to look beyond the flash of the Harrier and think about your priorities carefully before choosing it over the Hexa. Finally, how can I leave out at least one SA "gyaan moment"? 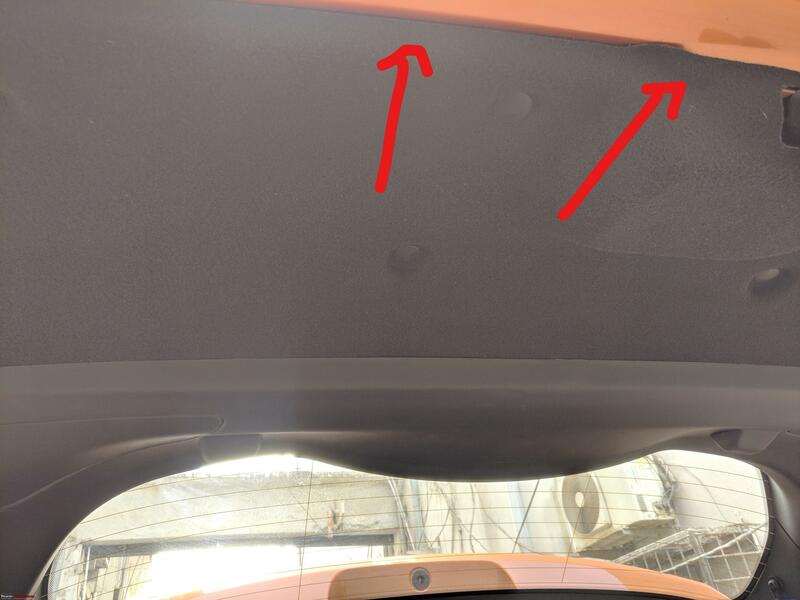 As I'm checking out the hood's insulation sheet - "Haan sir, ye bahut achha crumple zones diya hua hai" (Yes sir, they've given great crumple zones). Info gleaned from a stationary car, final production spec. 2. Excellent looks and desirability - inside out. 3. Fit and finish is excellent, at par with cars 2x. 4. Build and premium feel is better than the Creta, but below Compass. 5. More practical than the Compass. 6. NOISY! Only real flaw. 7. Comes with Tata's signature ergonomic quirks. 8. Great backseat for 3 abreast. 9. Will work for proper 5 adult road trips, and not just for weekend getaways. 10. 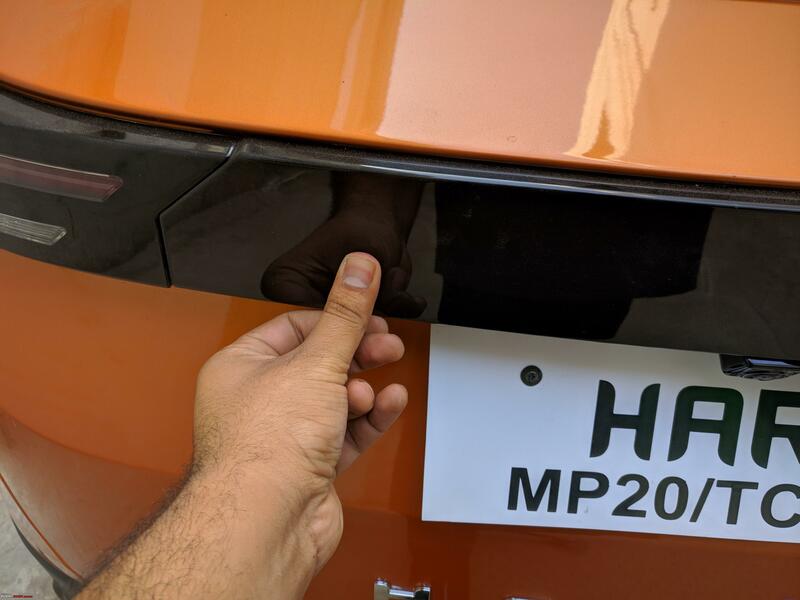 Truly, we have never had "More Car, Per Car" in such a desirable package before (the Hexa exists as the absolute VFM and sensible money spent benchmark IMO, so I had to add the "desirable package" caveat). 11. A fully loaded top-end Auto AWD would make this car something truly special and irresistable. P.S: SA said they will only be allotted vehicles by March, and waiting period is 18 - 22 weeks for all variants, not just XE. Also, he claimed they'd be following a strict FIFO policy wrt bookings and delivery. P.P.S: Apologies for inadvertent errors. 1. SA said they've received 80 pre-bookings. I remember that was 40 for the much cheaper Nexon. Can only be a good sign. 2. The light switches and sunglasses holder are indeed cheap and flimsy. But they are functional - holder is adequately lined. I don't begrudge Tata these savings. 3. Front and Rear lights have separate controls even for being in "Door" position - this is a particular gripe for me in the Endeavour as the whole cabin lights up for the world to see as soon as I remove the key or anyone opens any door (just for having the peace of mind of one extra indicator incase something is left unlocked).